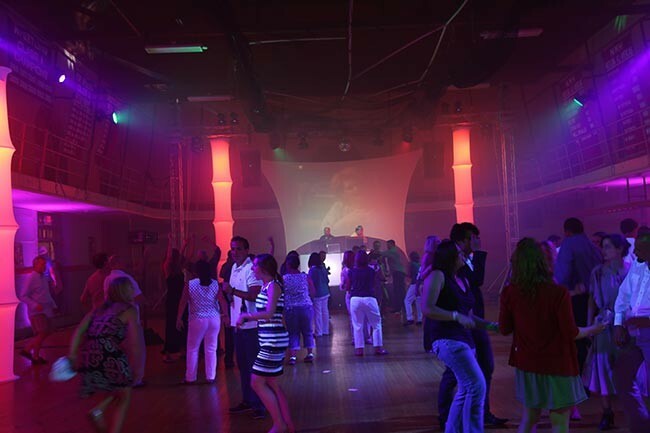 Club Big Wave™ (CBW) is a powerful antidote for event apathy. 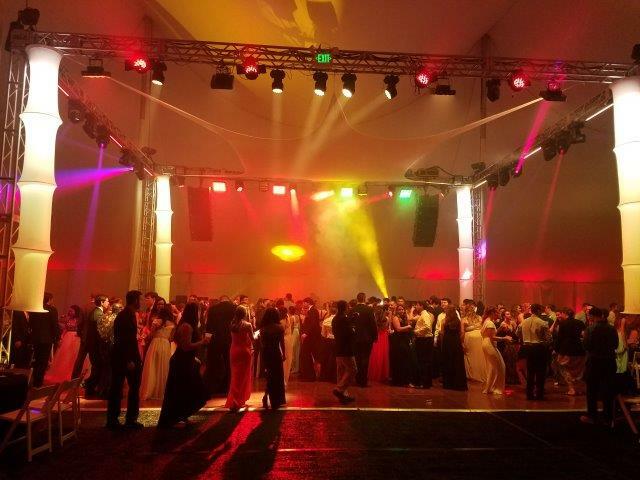 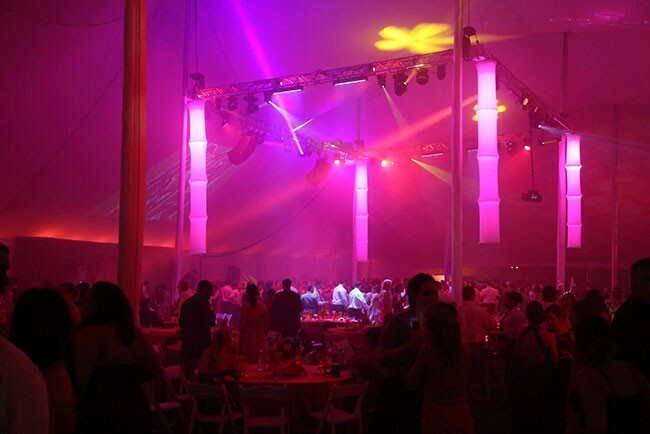 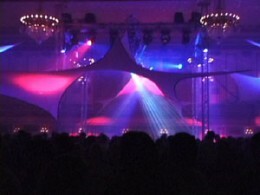 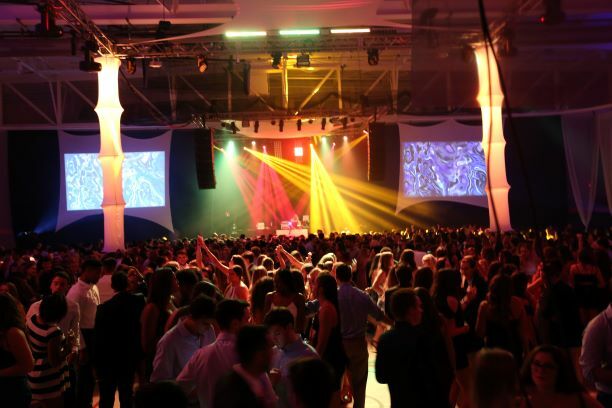 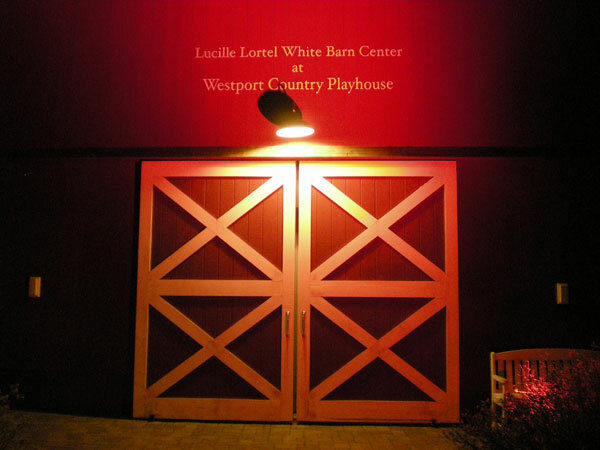 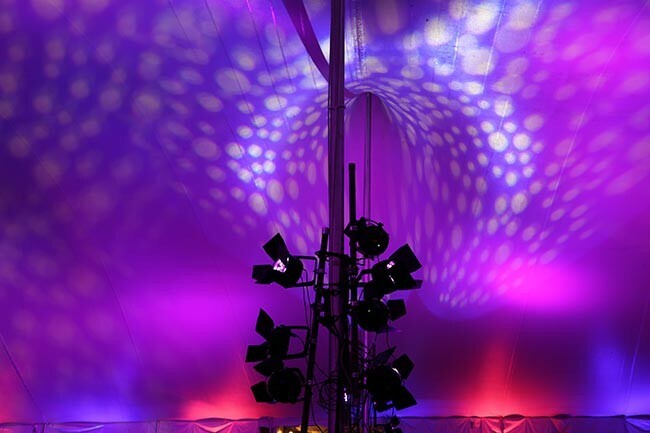 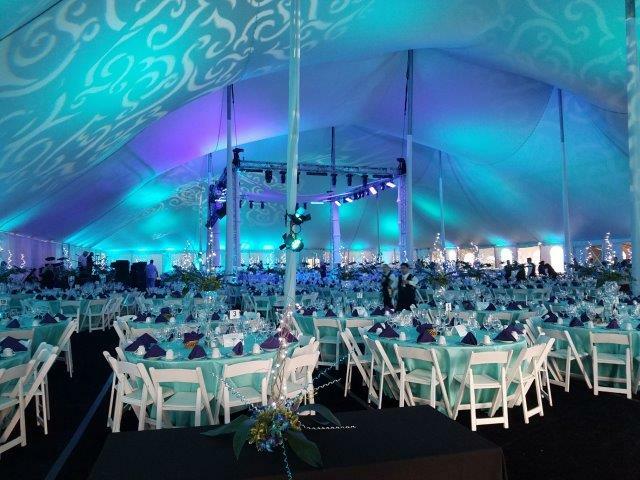 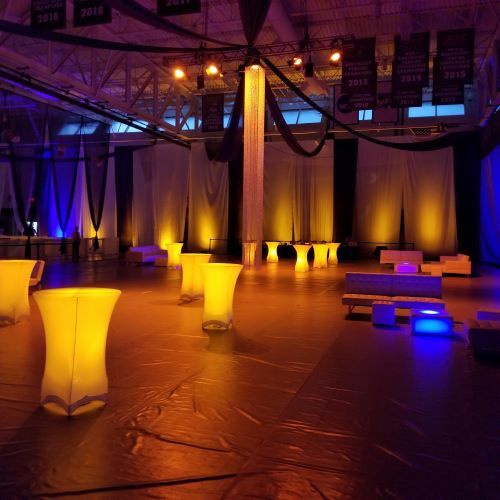 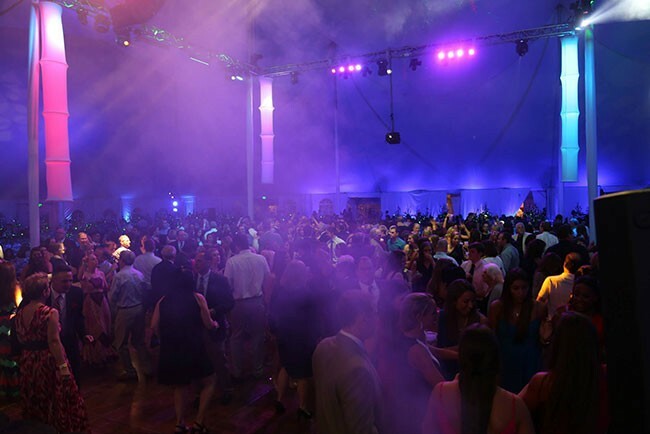 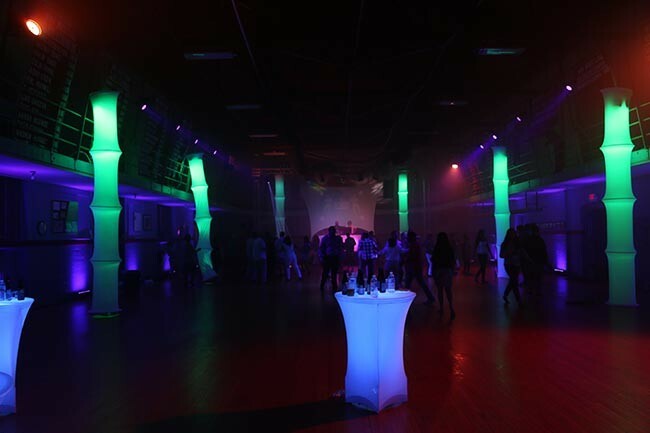 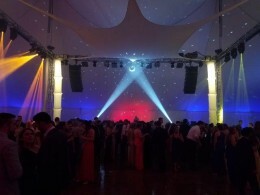 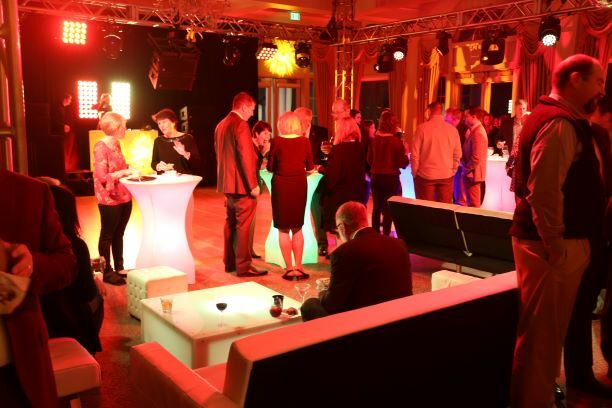 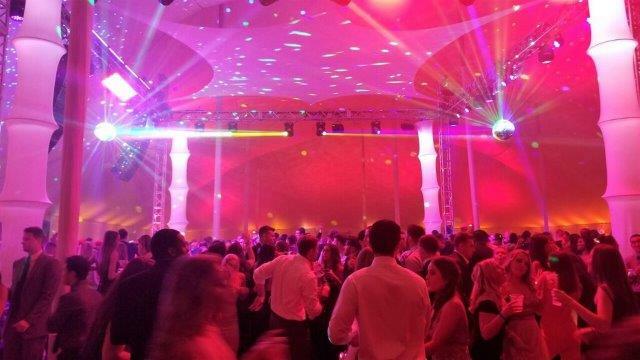 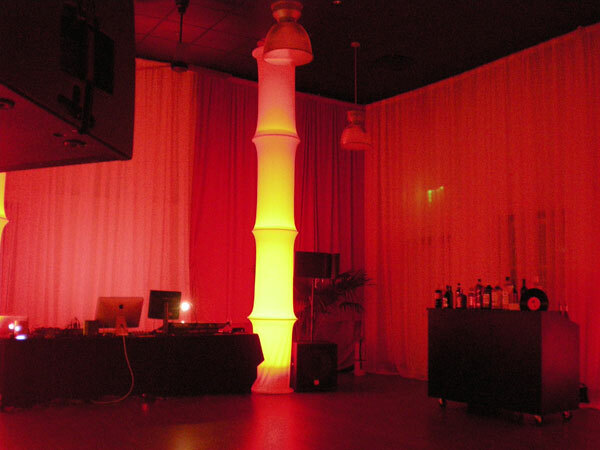 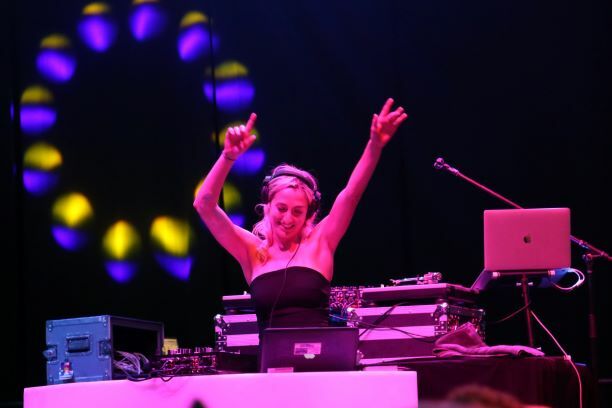 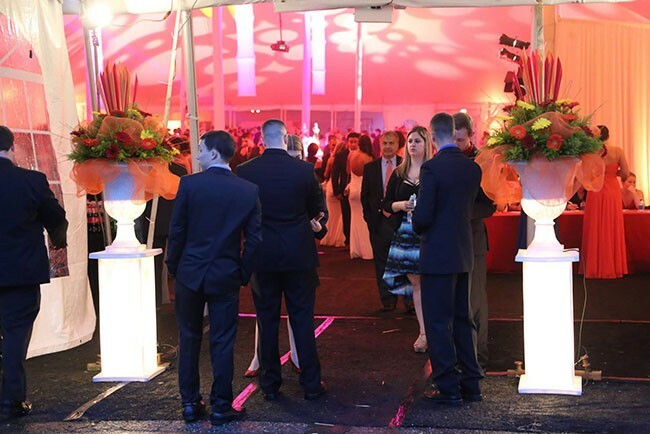 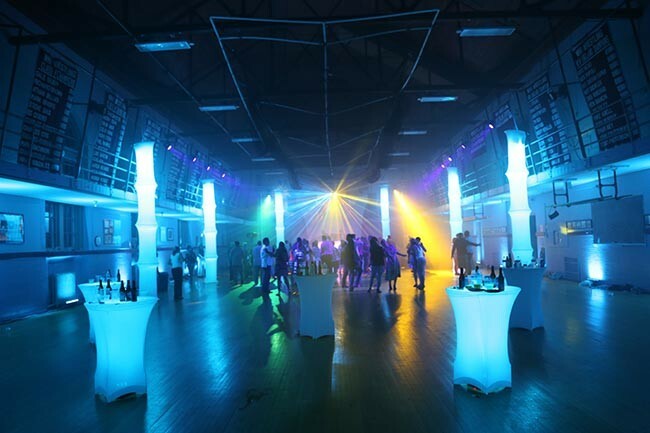 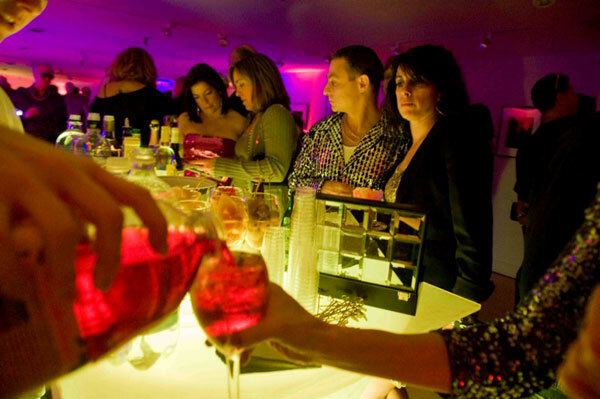 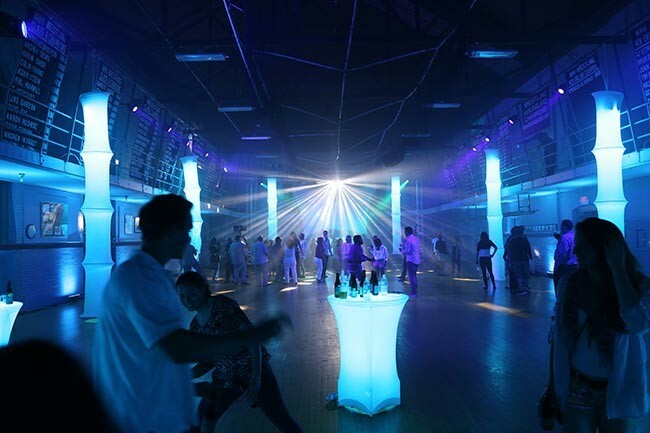 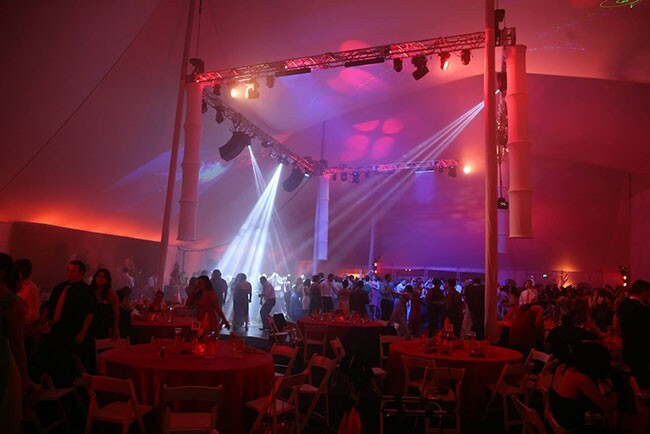 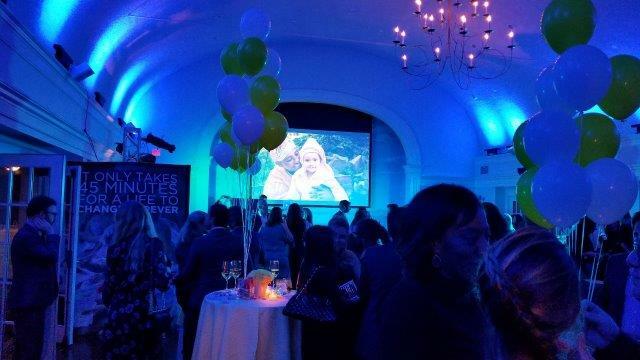 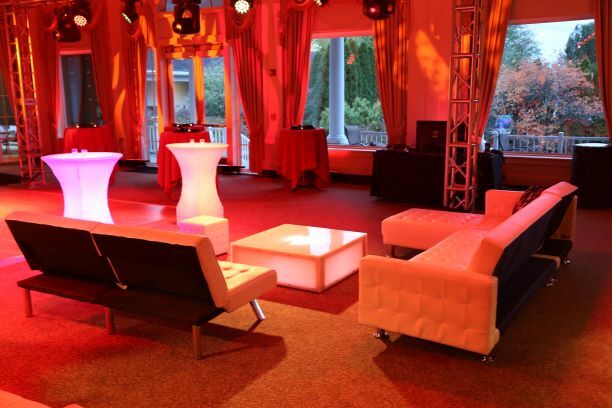 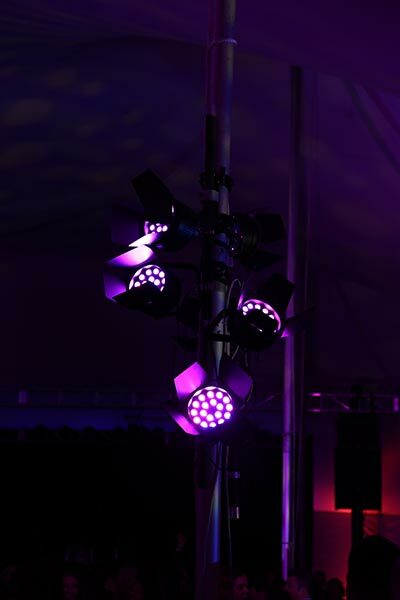 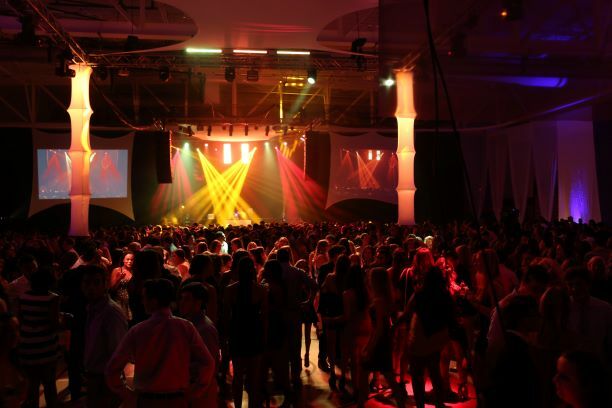 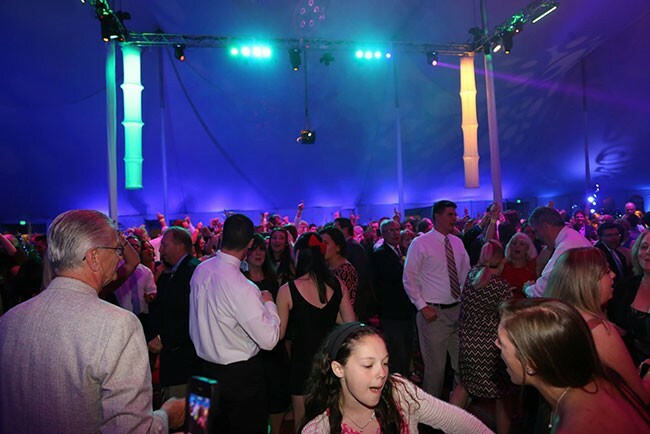 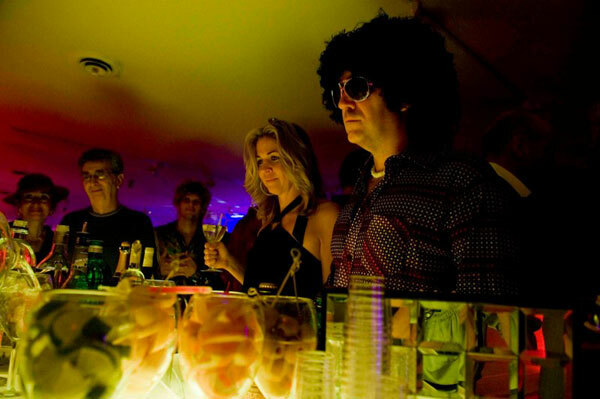 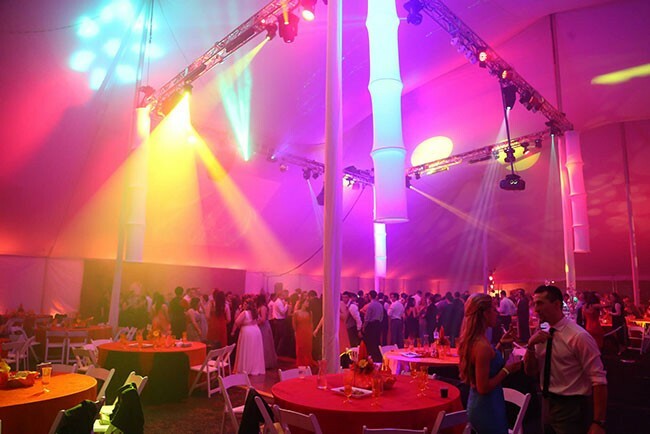 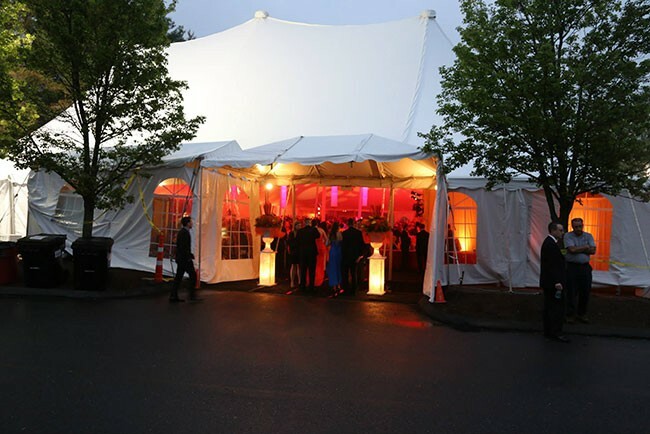 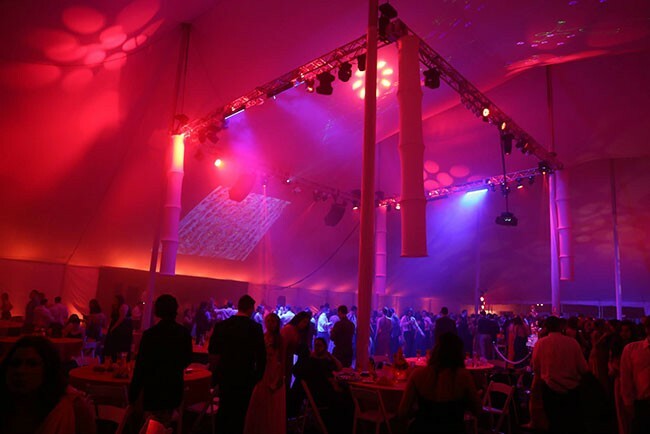 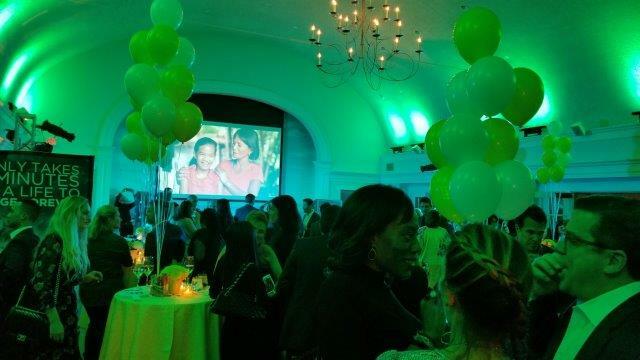 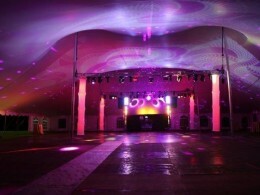 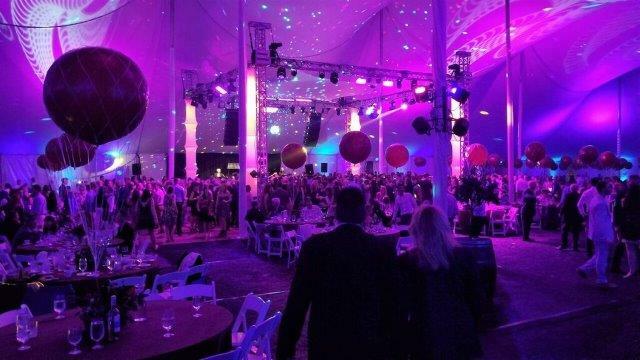 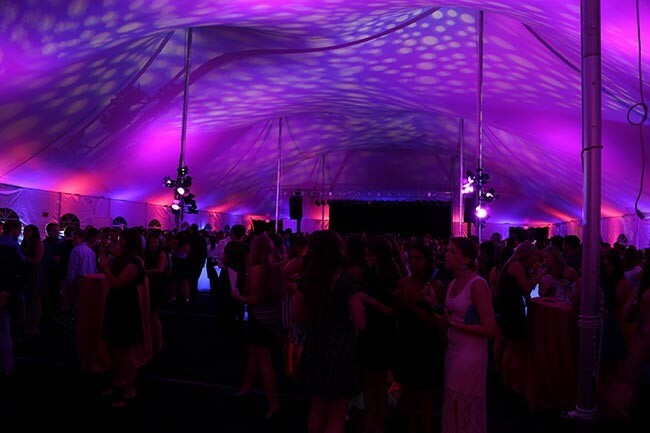 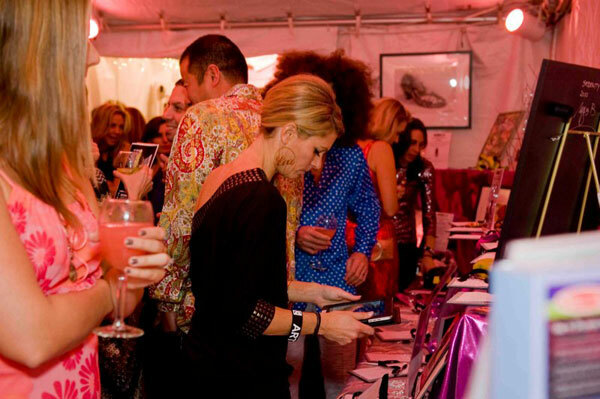 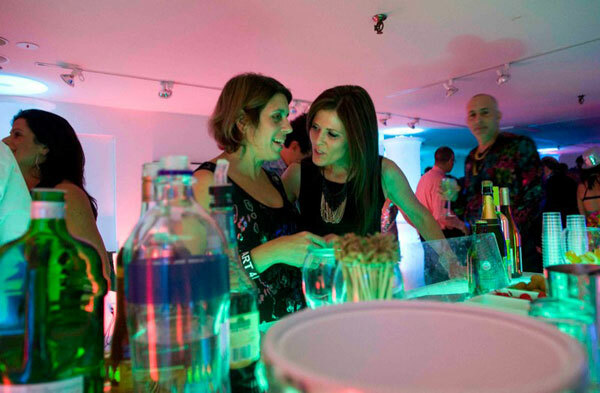 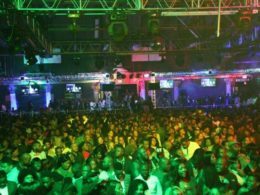 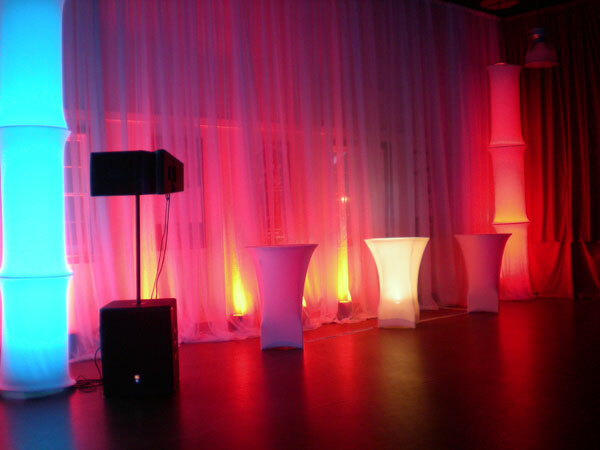 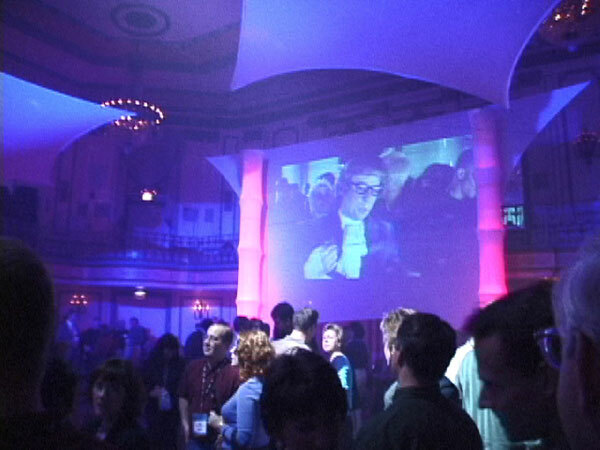 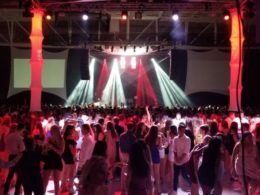 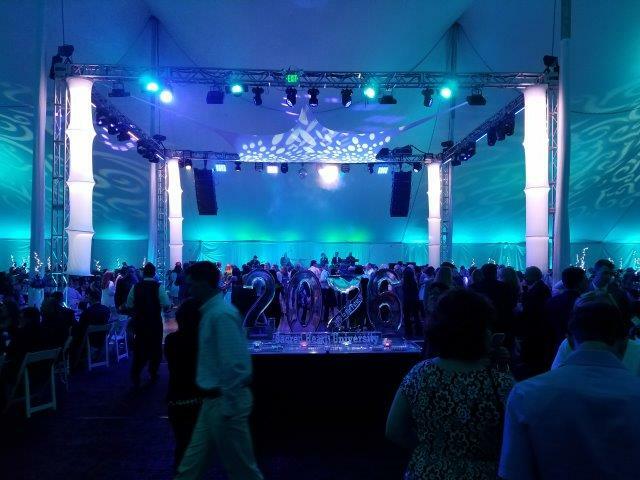 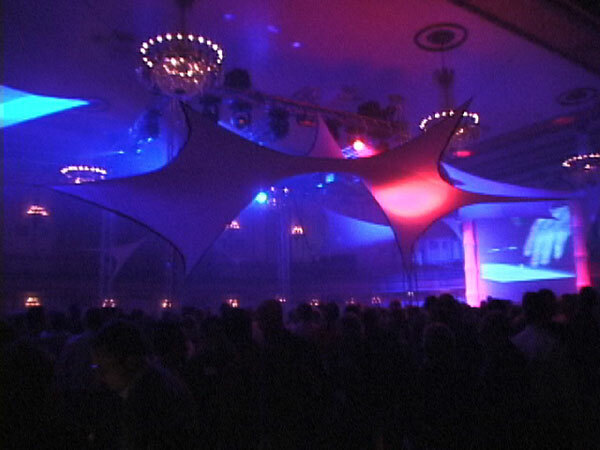 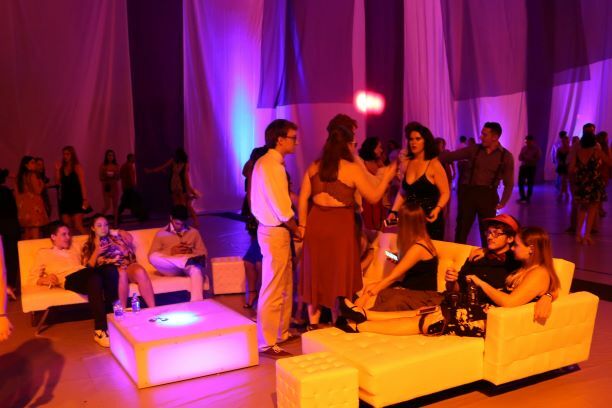 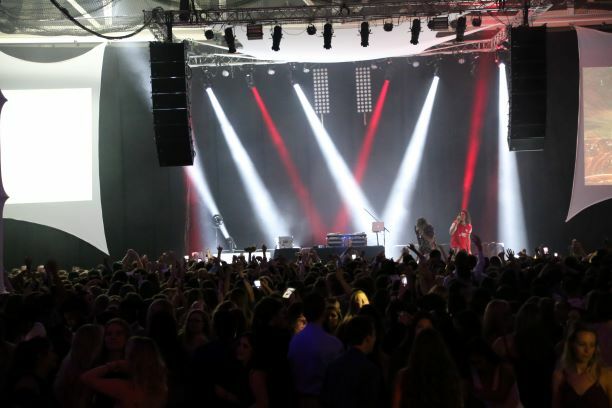 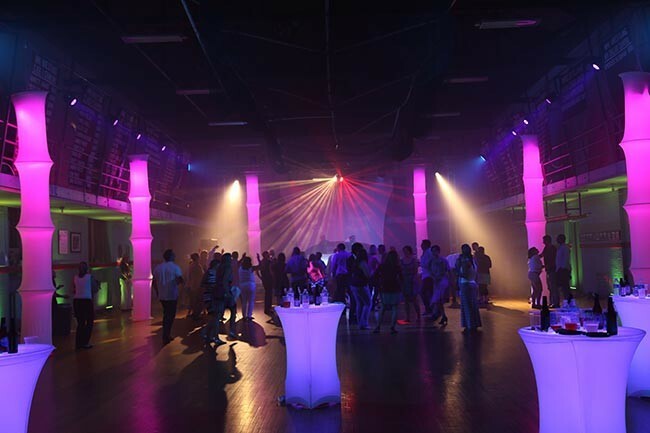 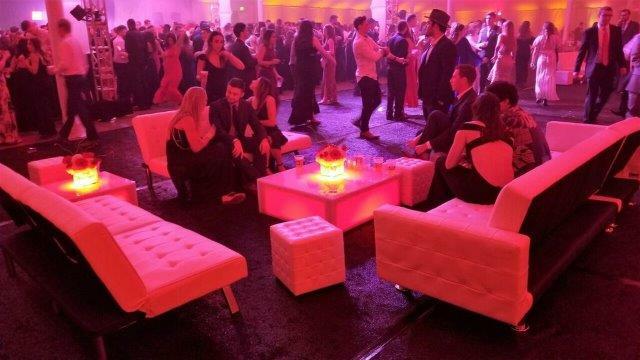 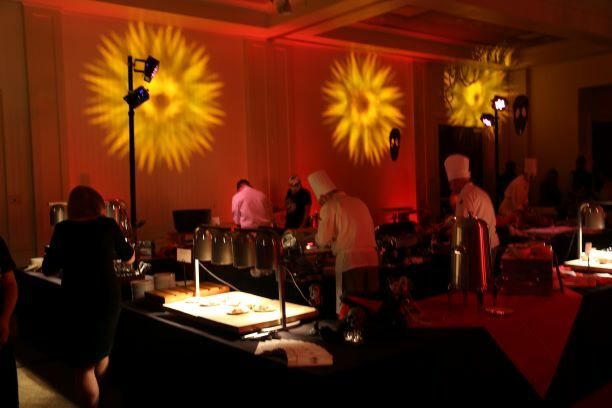 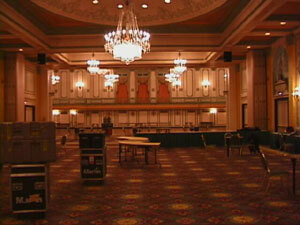 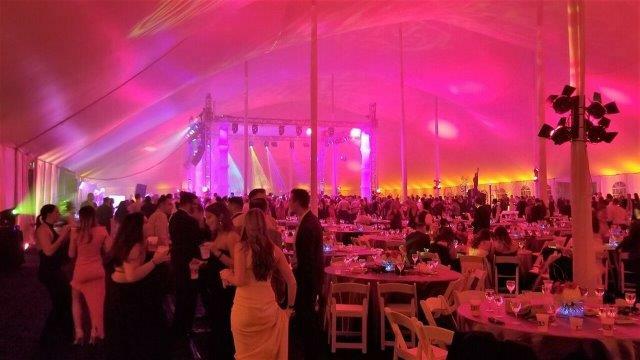 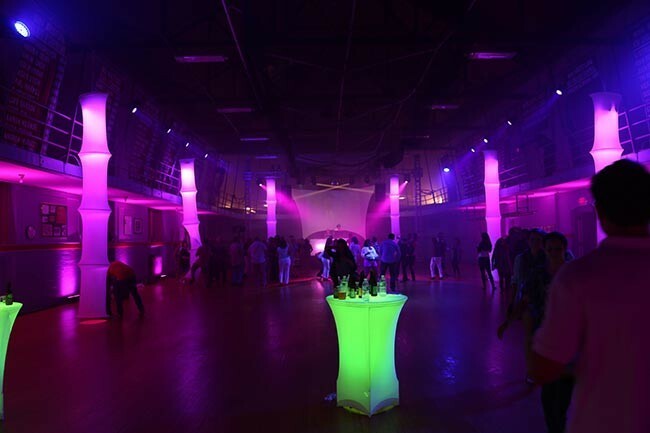 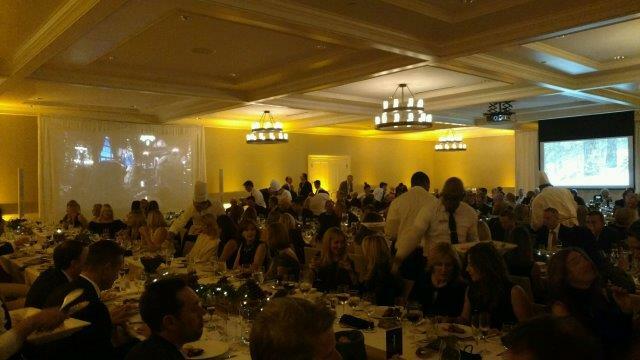 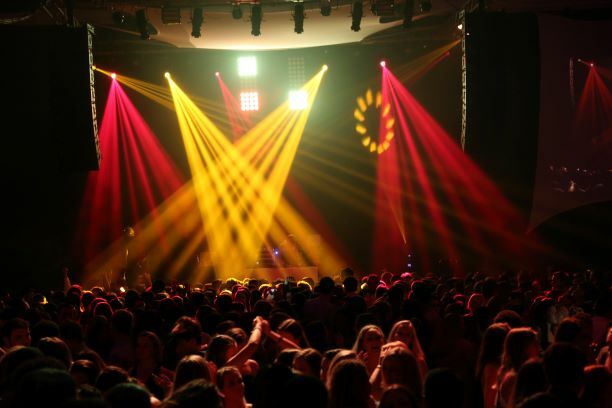 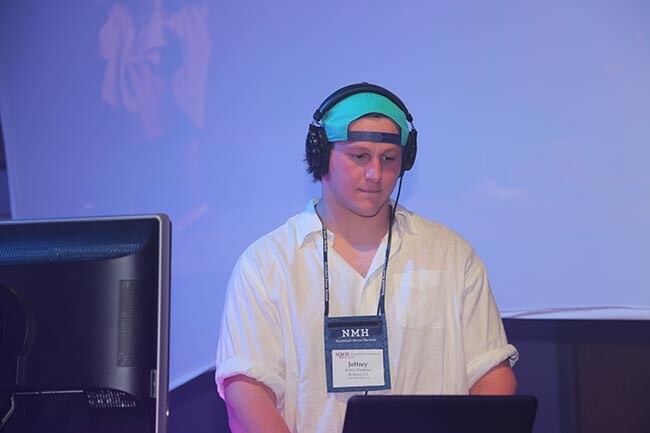 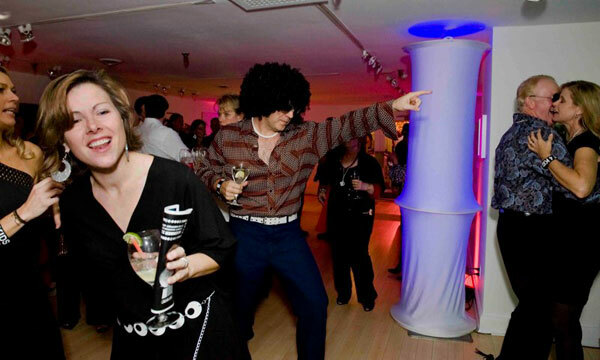 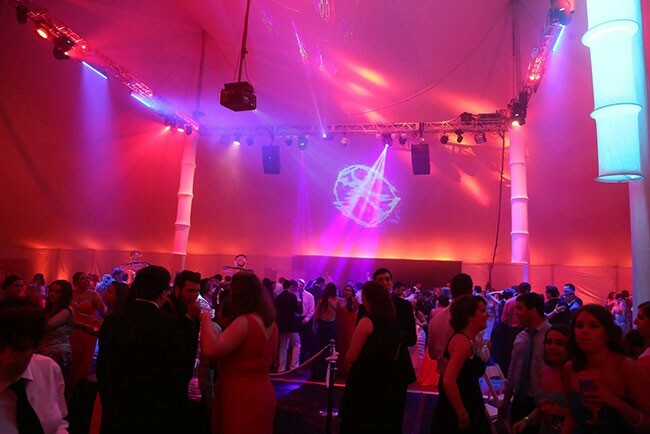 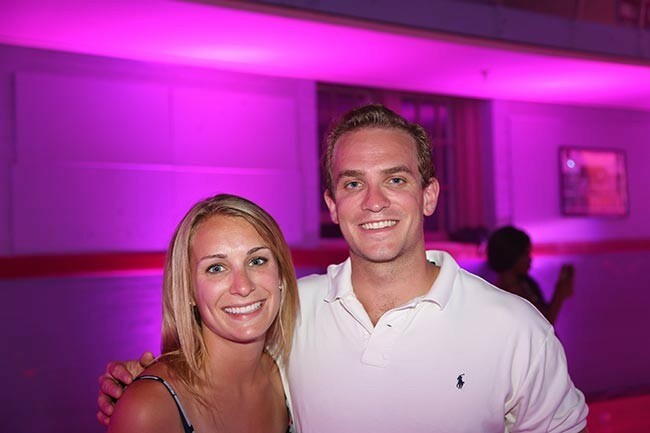 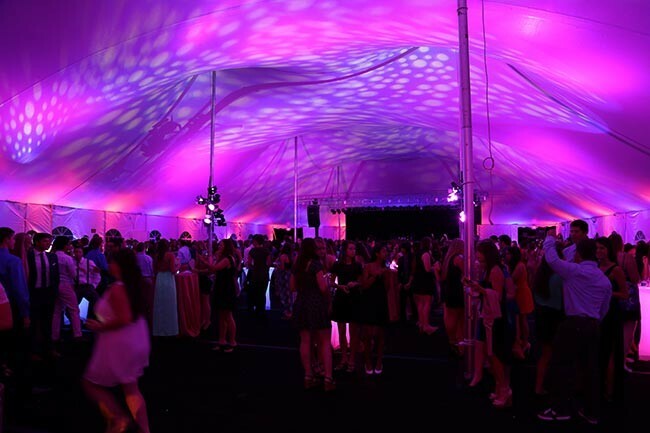 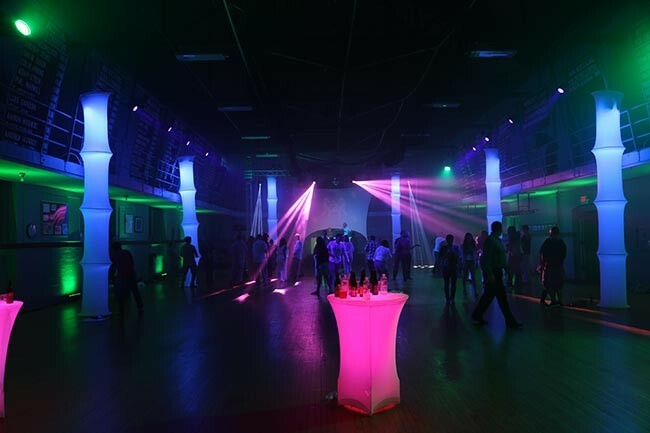 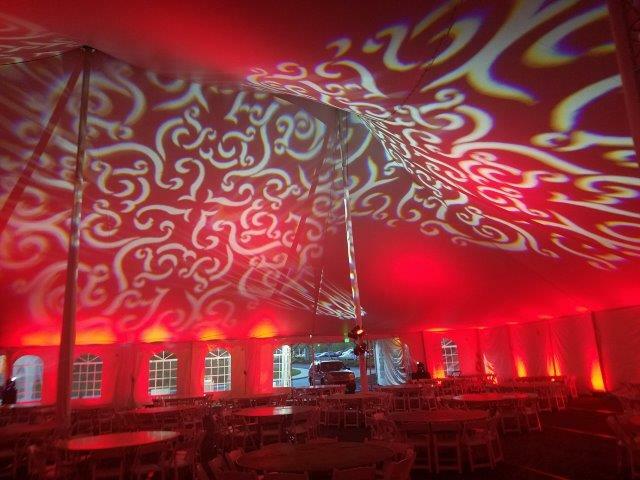 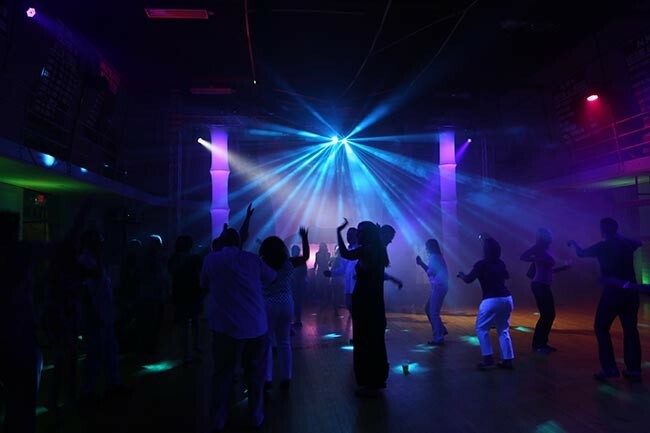 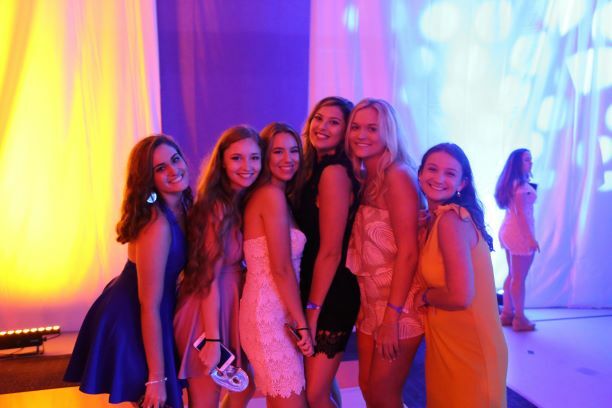 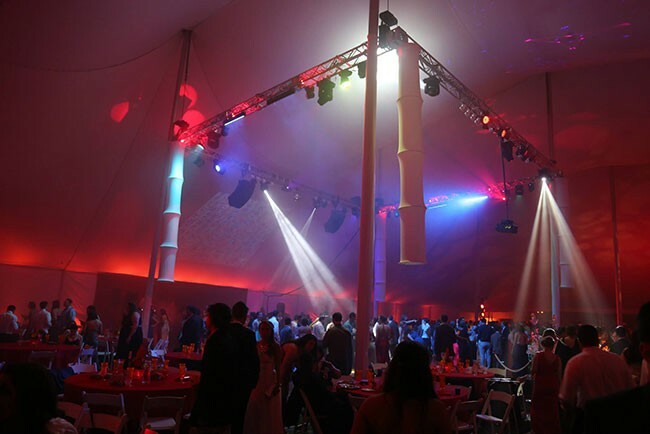 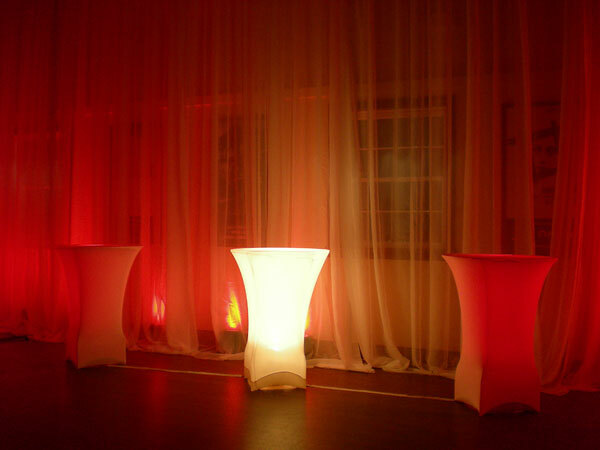 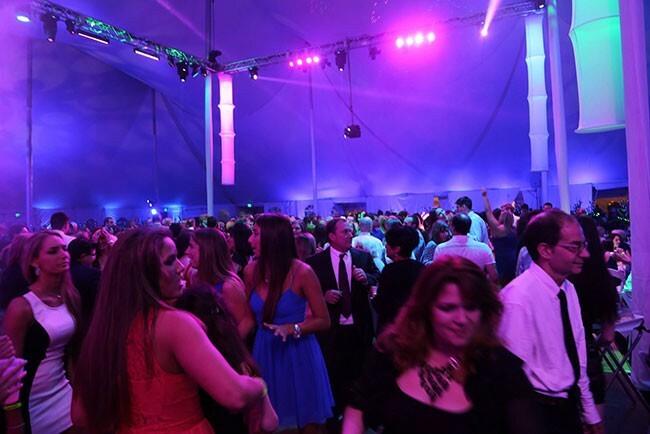 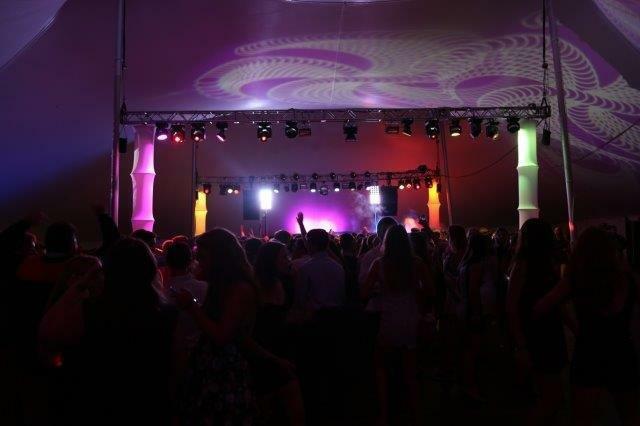 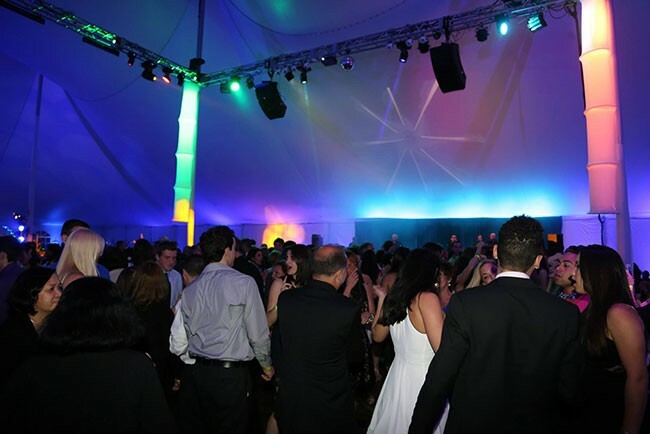 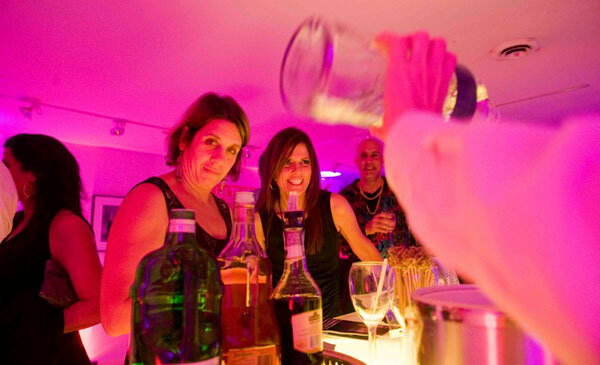 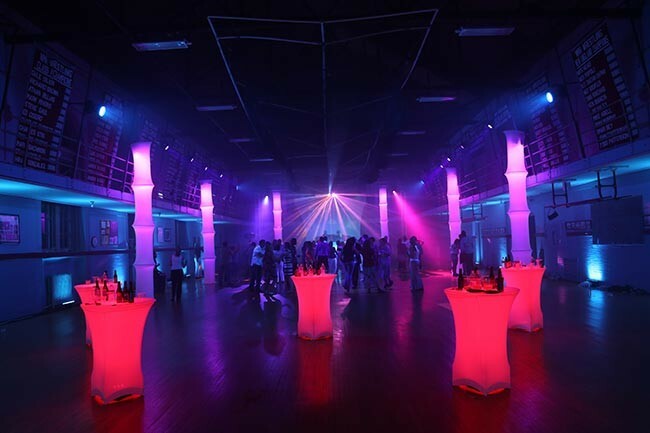 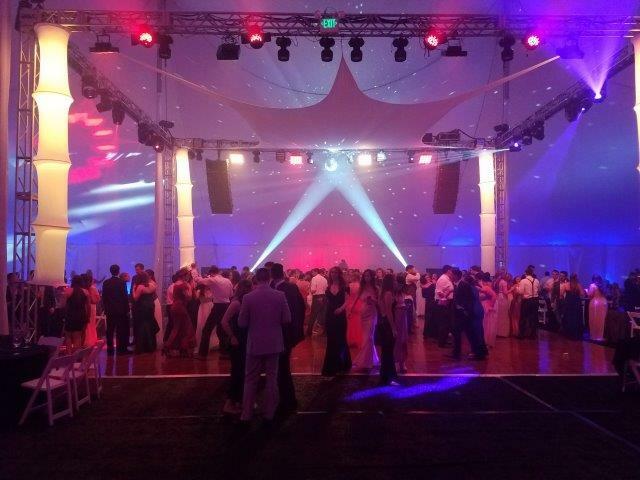 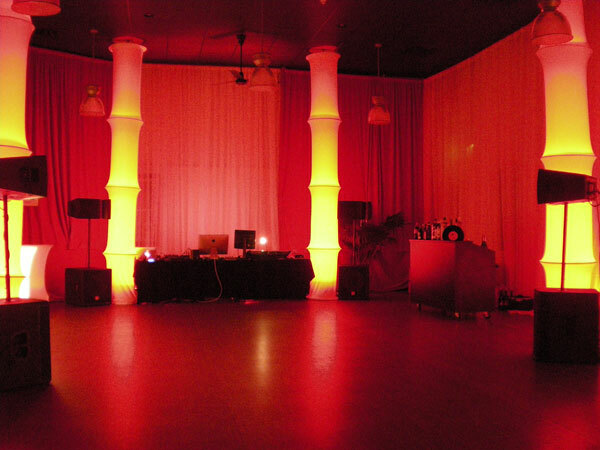 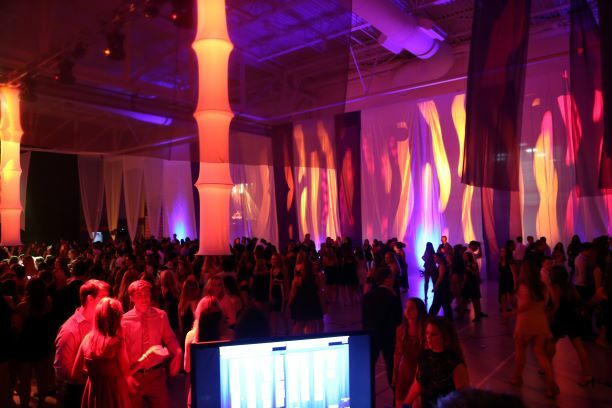 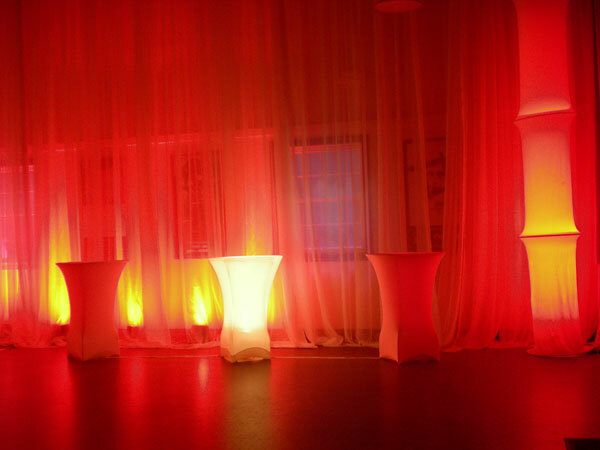 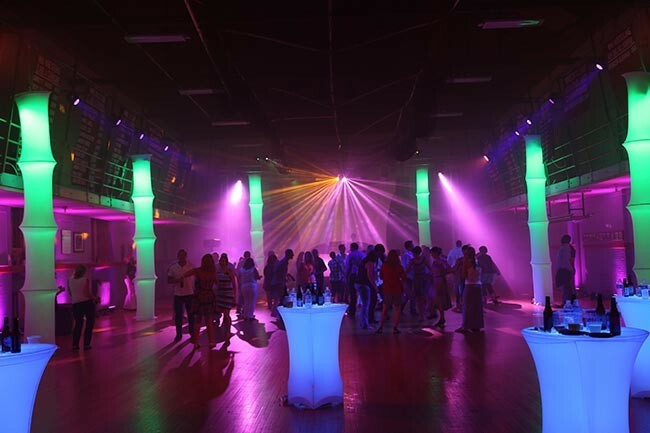 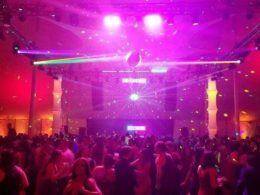 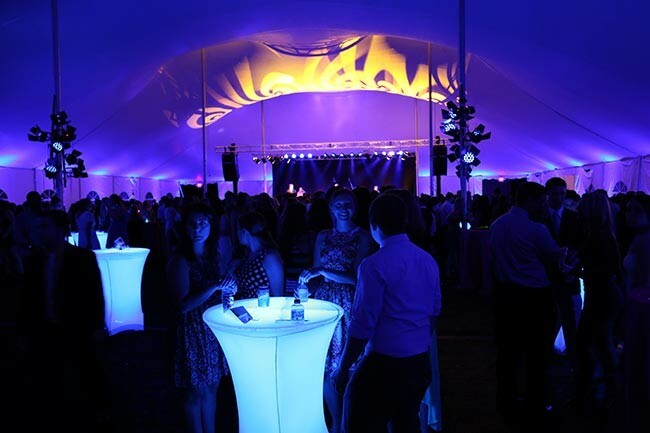 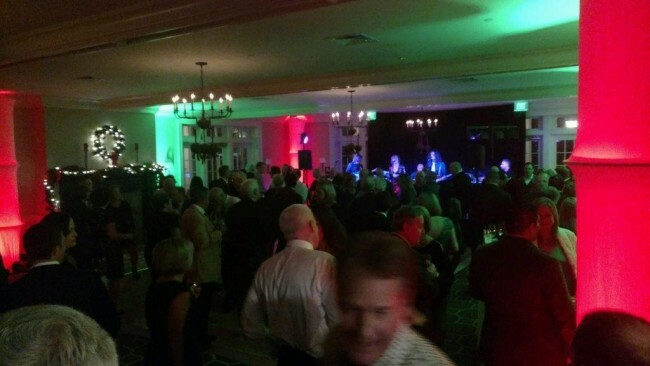 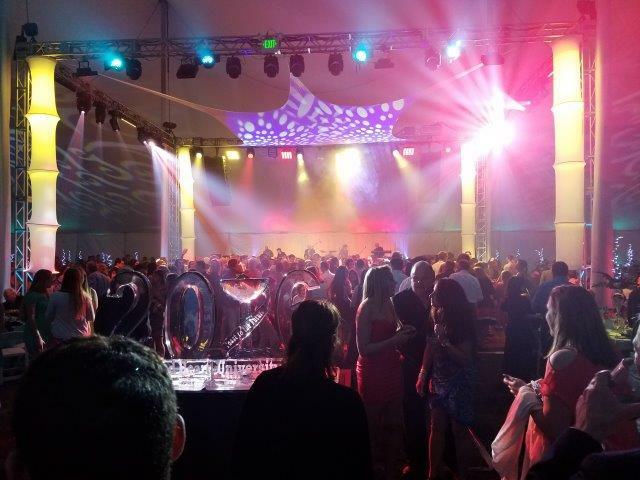 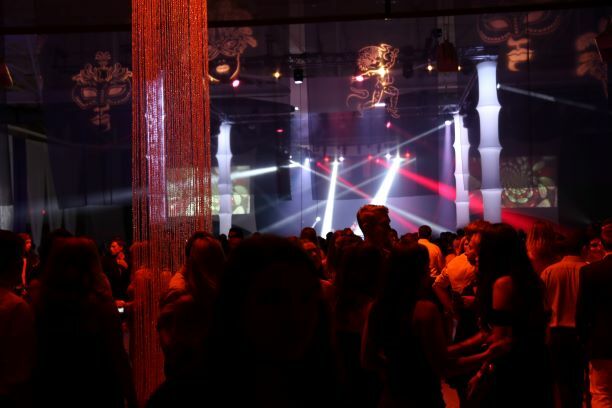 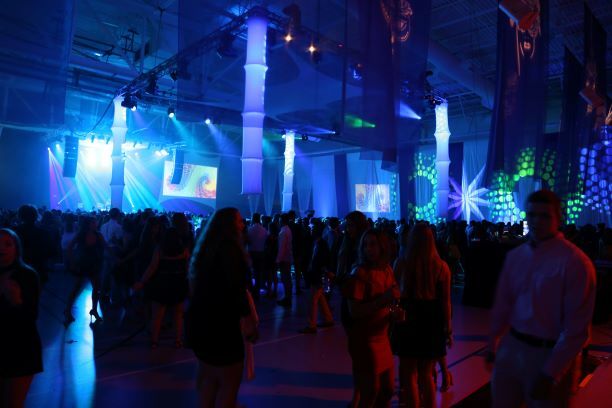 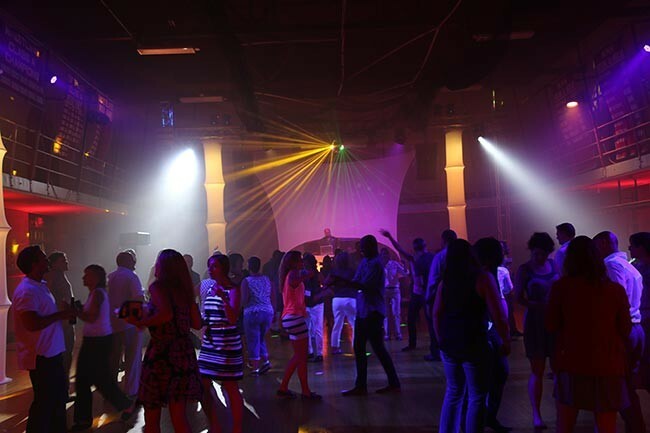 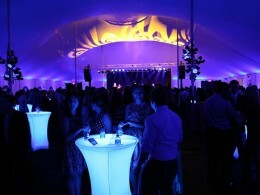 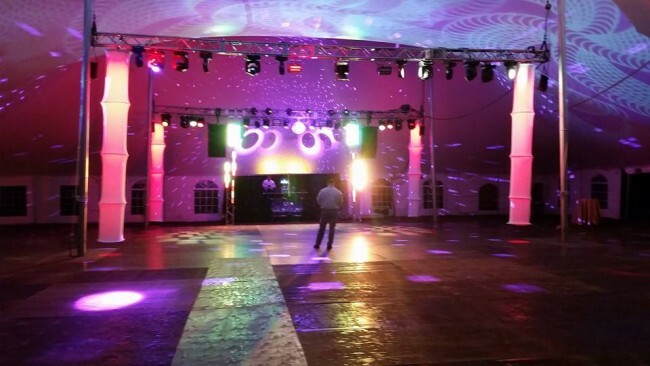 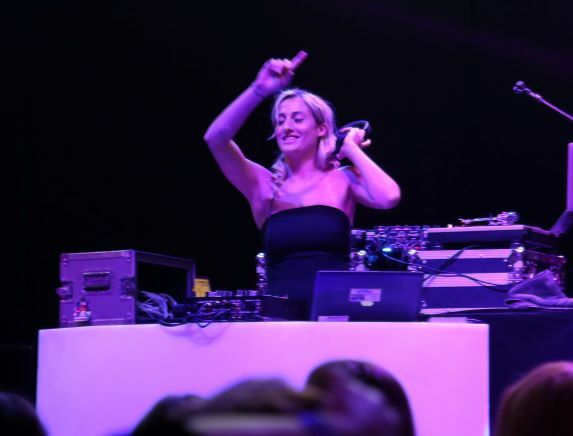 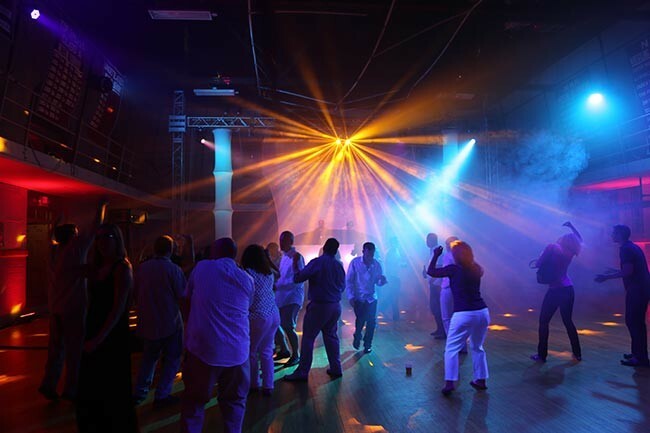 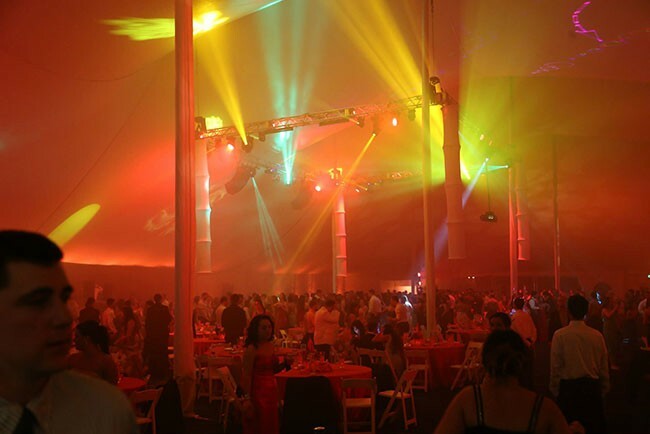 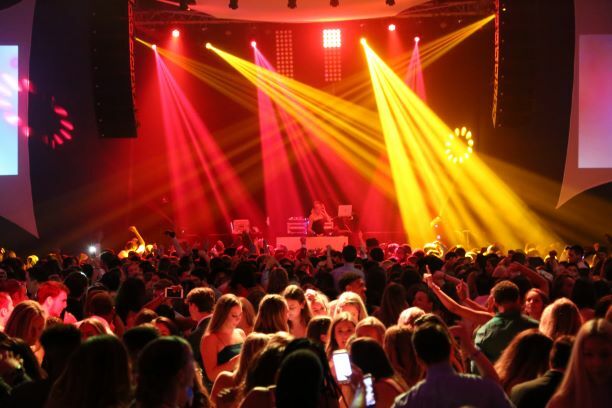 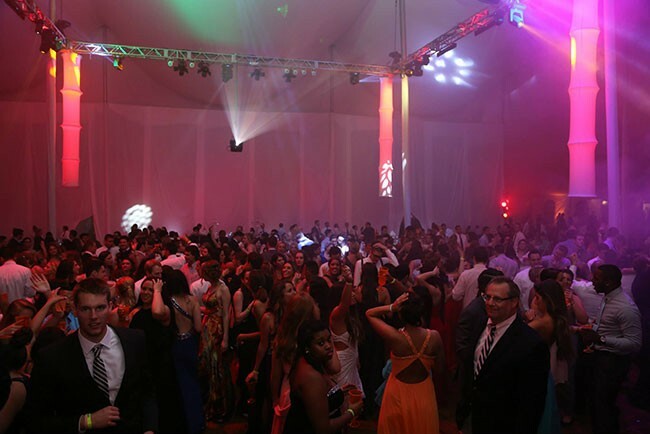 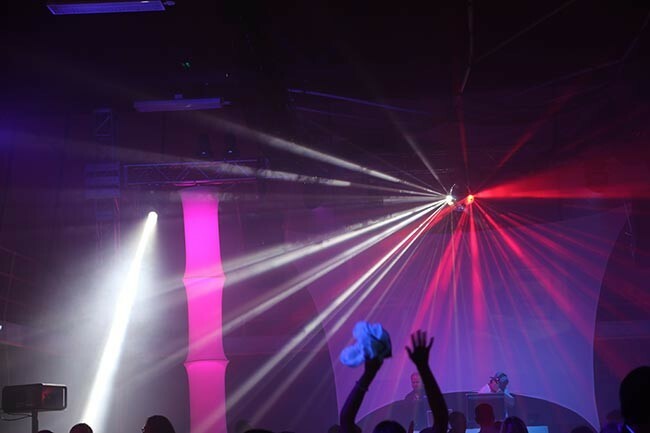 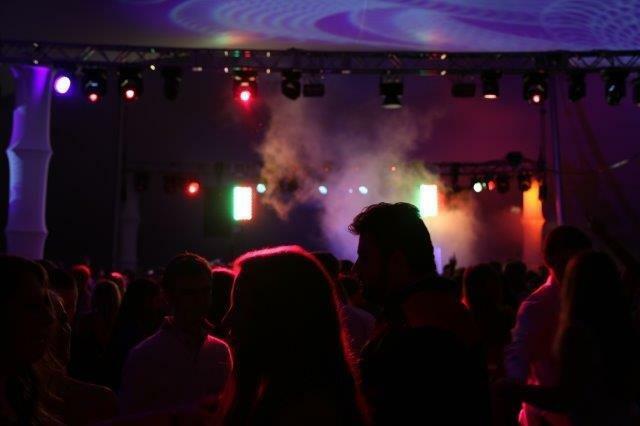 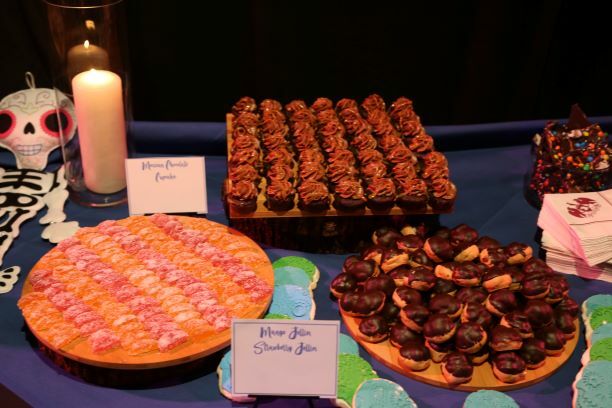 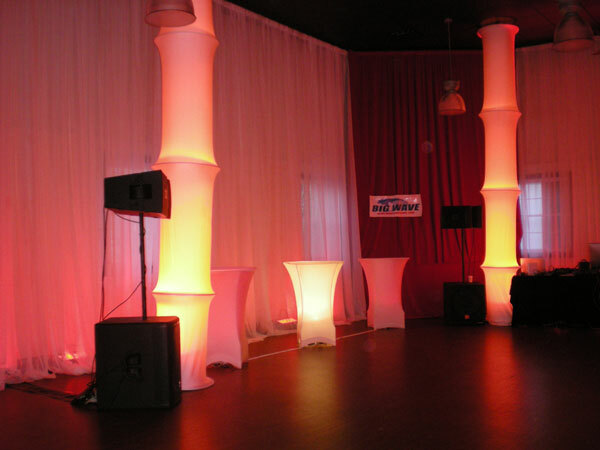 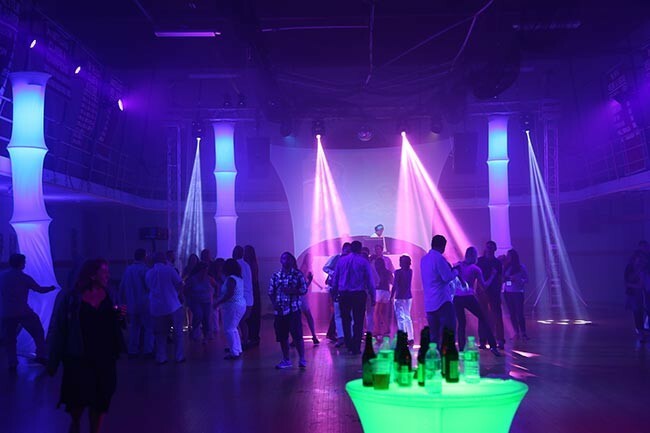 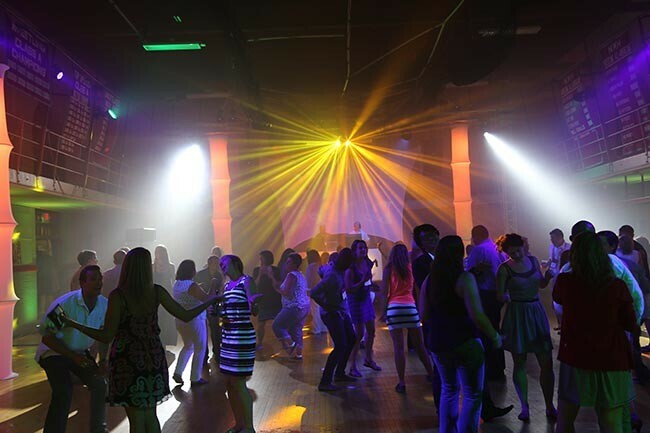 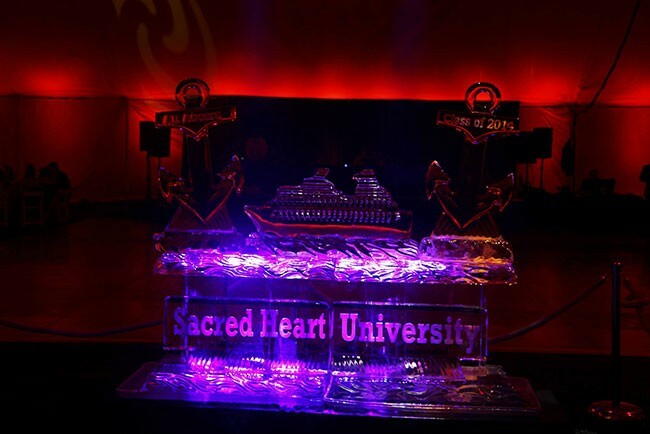 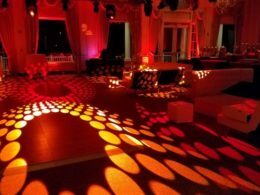 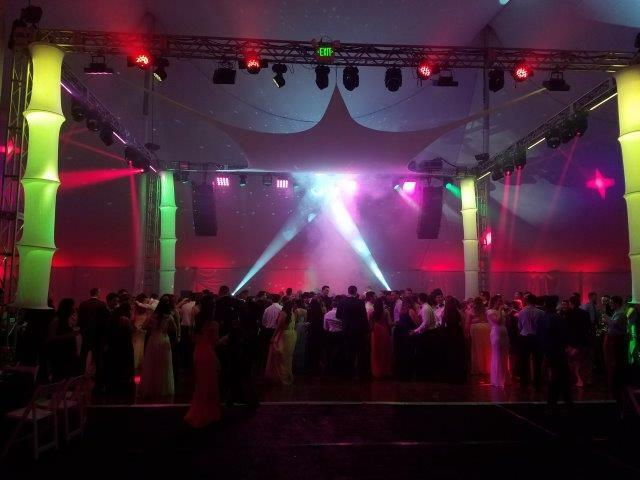 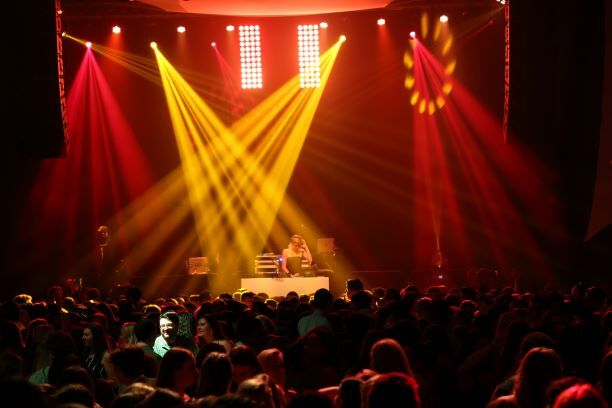 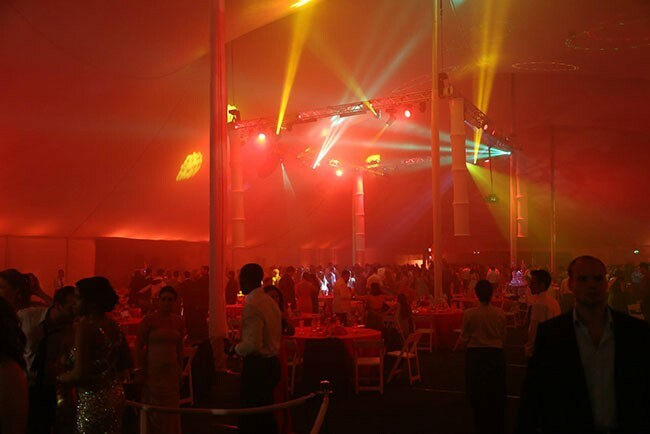 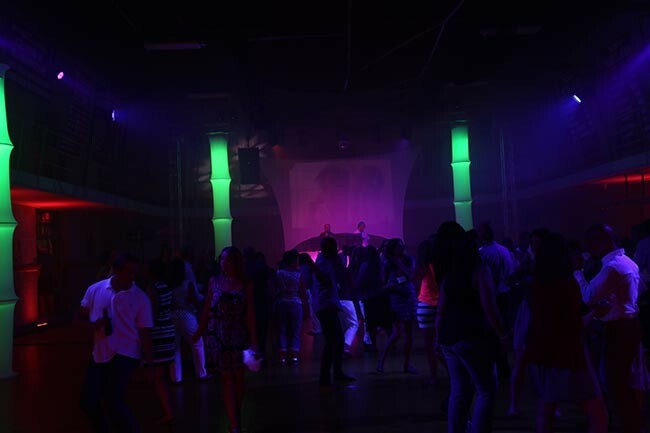 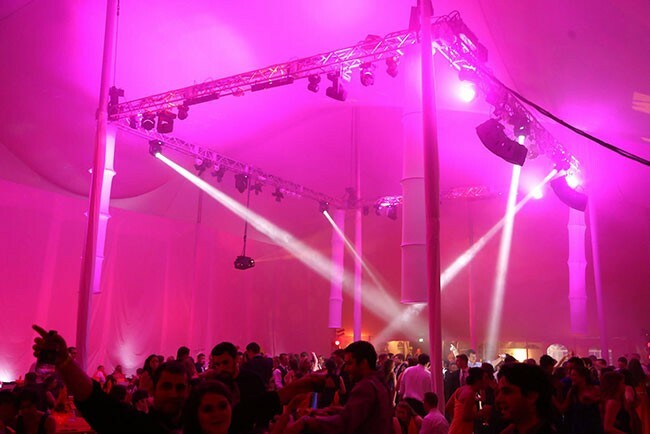 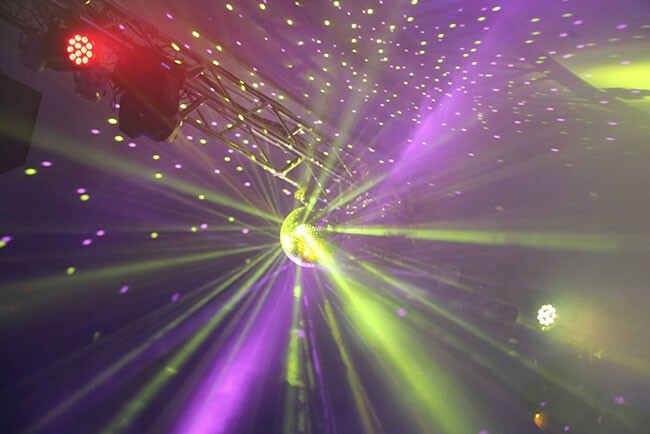 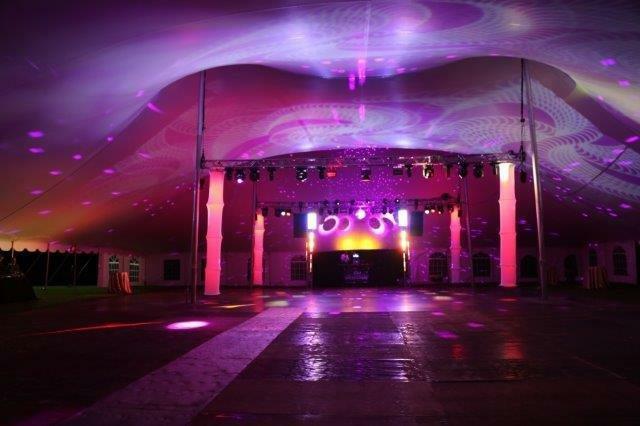 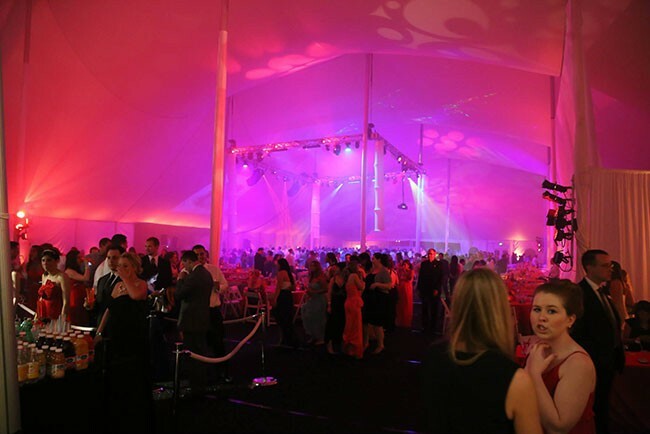 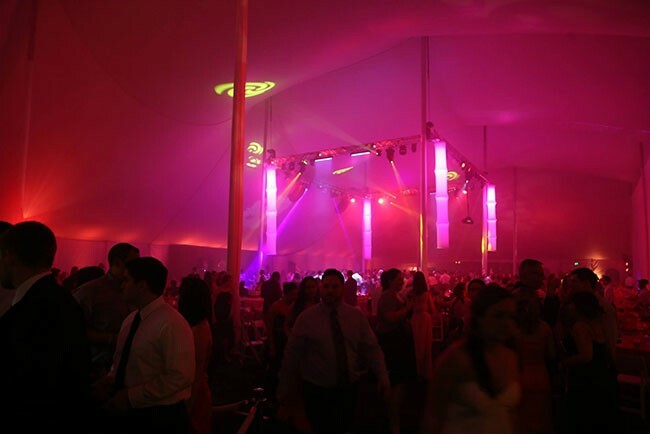 Our event planners in Connecticut will close your convention/meeting with a party that is exciting and memorable. 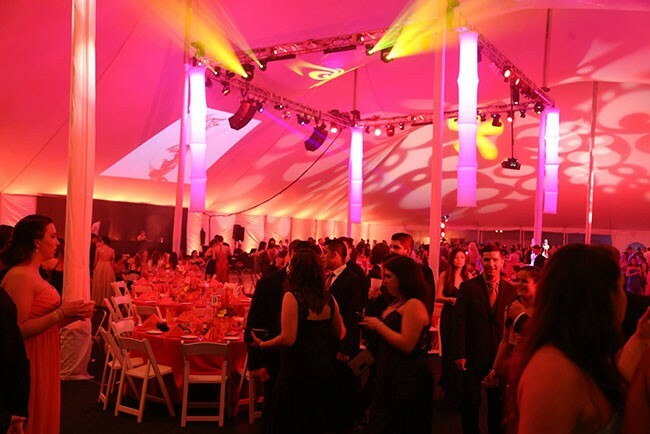 We are well-known for coordinating private affairs, corporate events, and major events for associations and organizations. 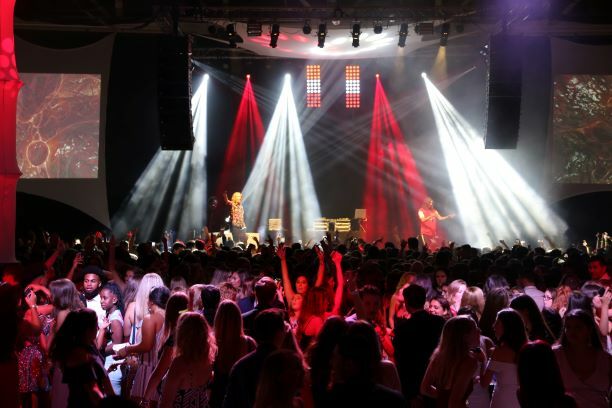 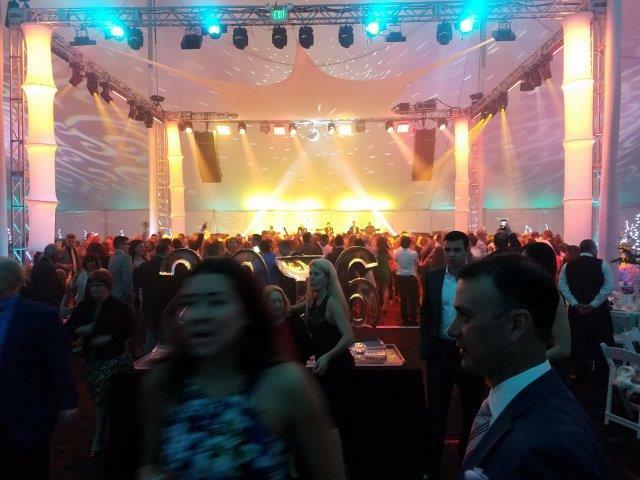 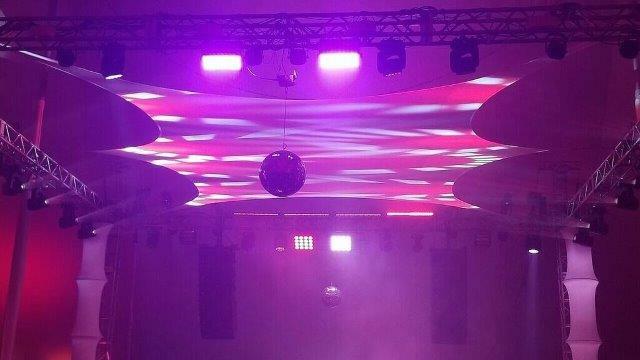 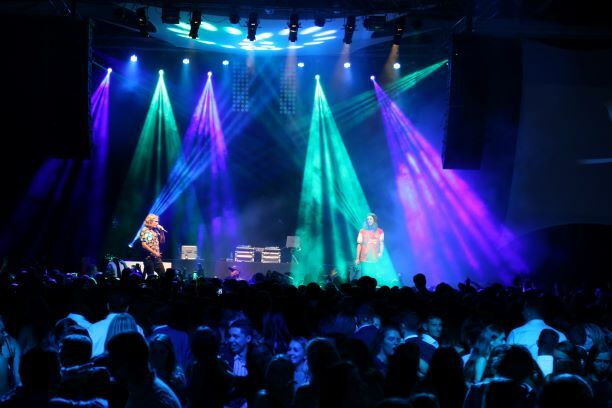 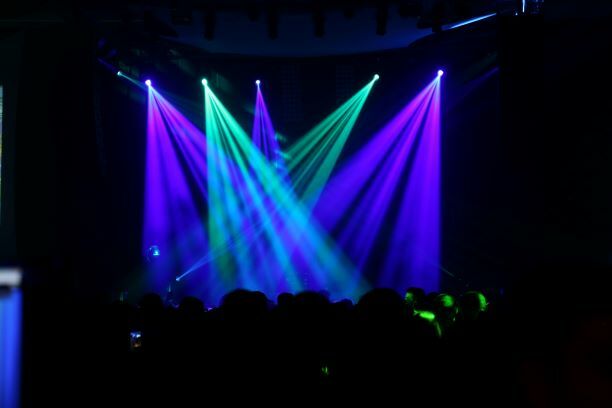 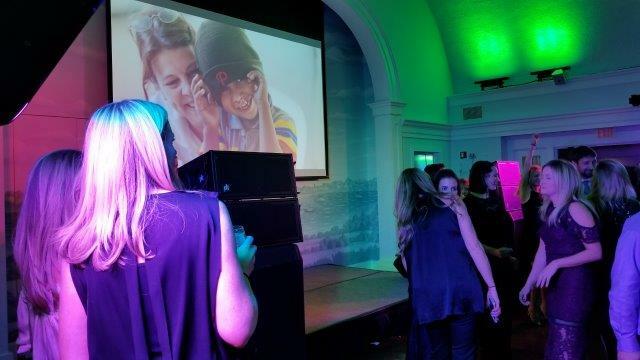 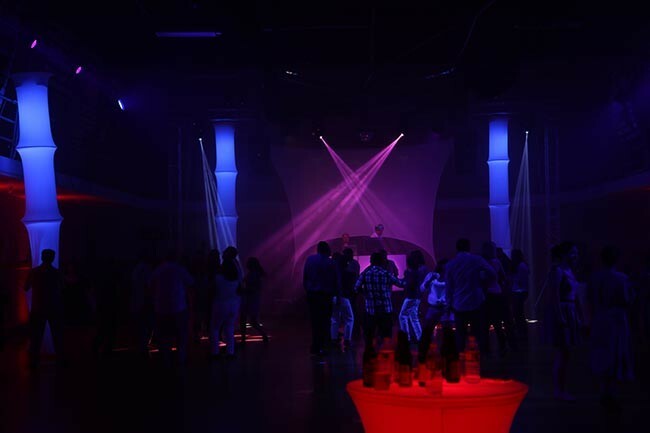 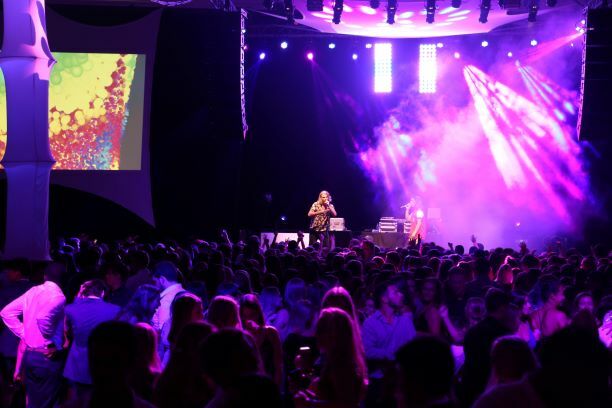 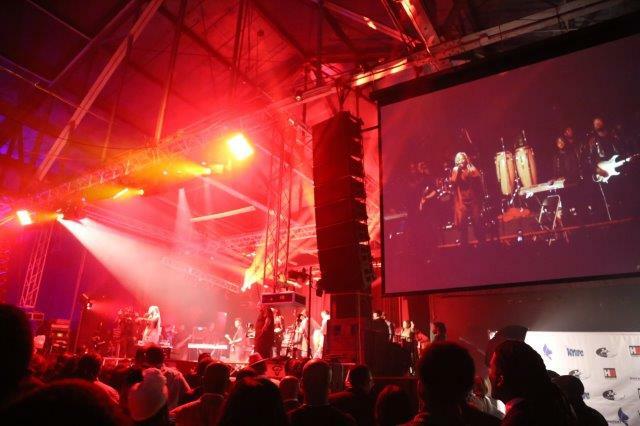 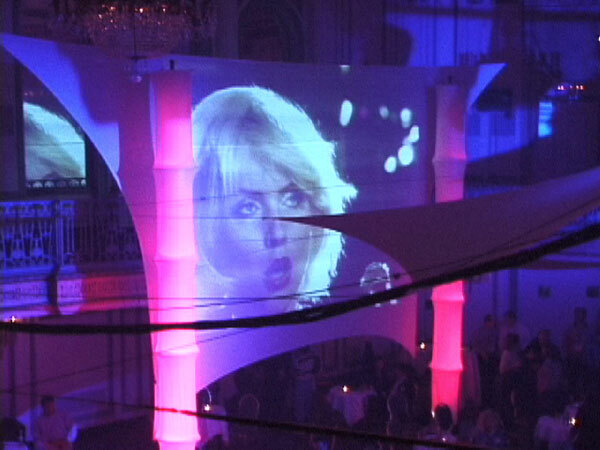 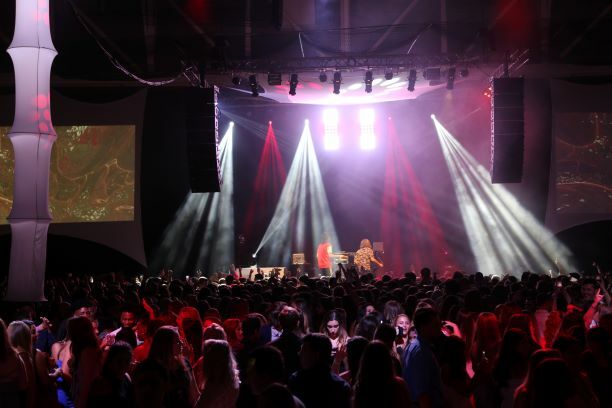 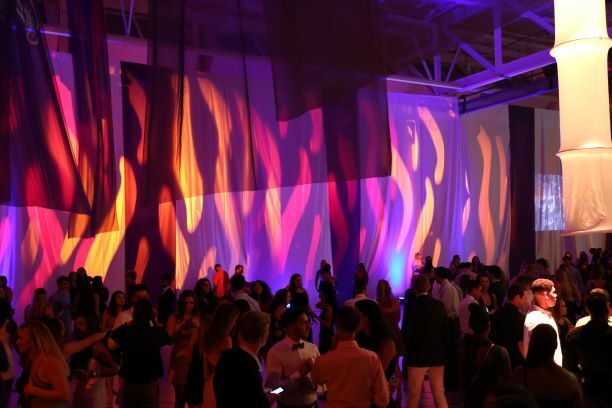 As well, Big Wave provides a truly exciting setting in which your guests, attendees, employees, and management dance the night away to their favorite music while viewing the actual recording stars performing on our high-definition stretch fabric videos screens. 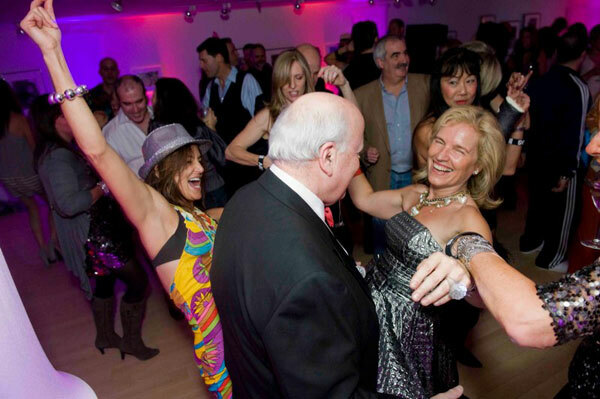 The energy level at our Club Big Wave events is unsurpassed. 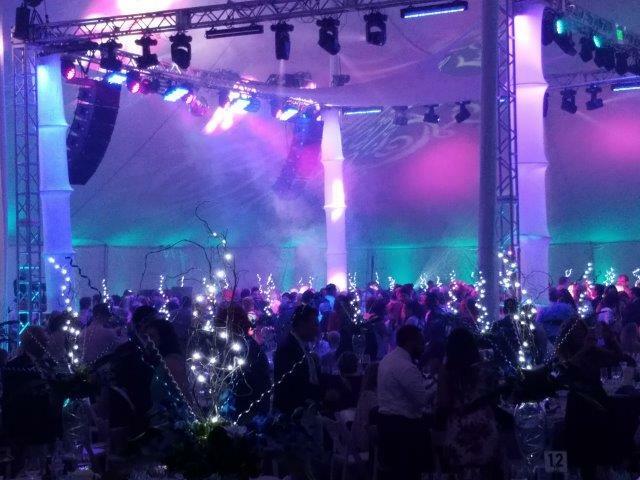 Surrounded by beautiful décor, our music and award-winning light show are non-stop from start to finish, and we never charge overtime. 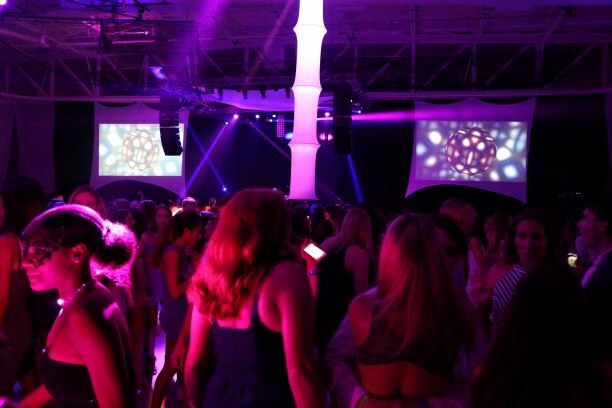 We’ve been making waves since the birth of MTV. 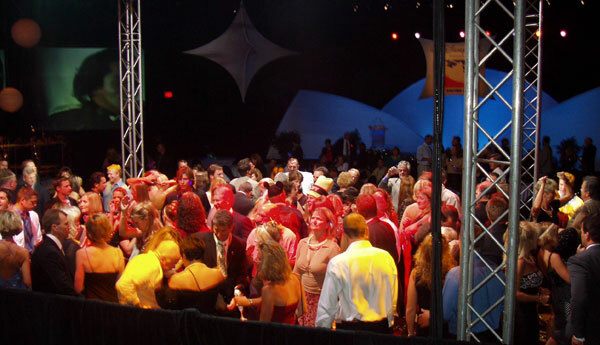 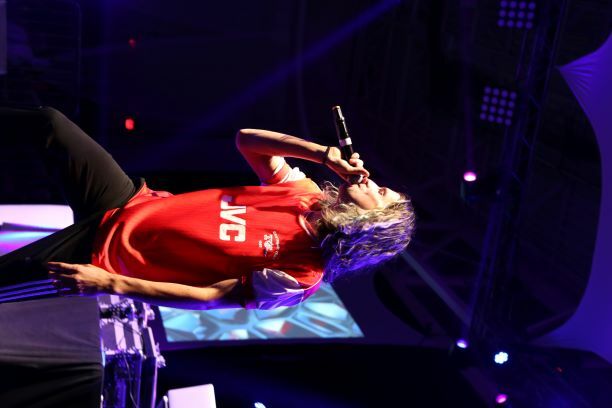 Originally known as Wild Video Dance Party®, which toured hundreds of colleges, universities, and military bases during the 1980s, then Club Coca-Cola®, CBW expanded into the corporate market in the 1990s. 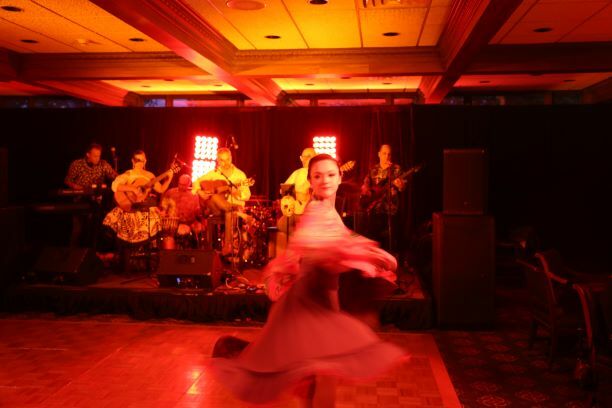 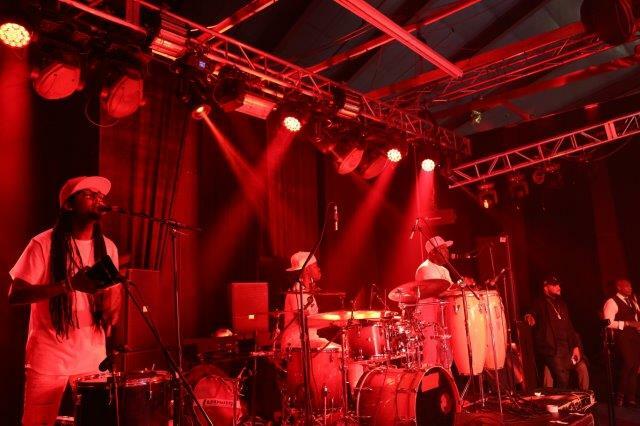 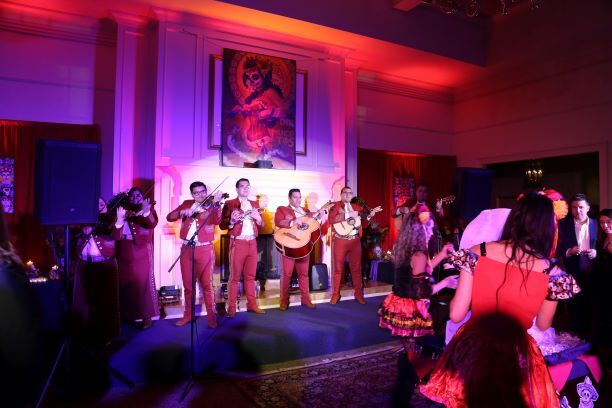 Since then, we’ve performed at hundreds of major corporate destinations nationally, as well as in Portugal, Italy, Switzerland, Canada, Puerto Rico, and Mexico. 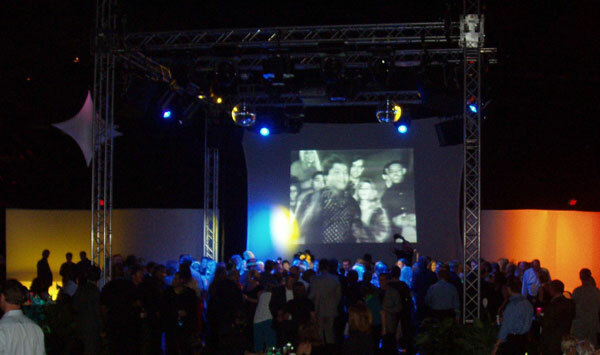 We are celebrated for our ability to mix videos from the disco era; alternative music from the 1980s; dance music from the 1990s; and Latin, hip-hop, techno and today’s dance-oriented Top 40. 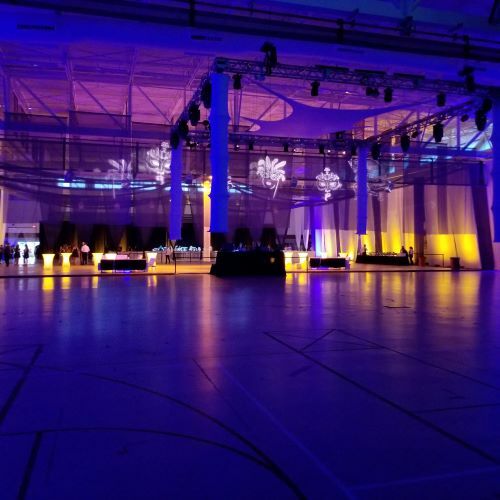 Our event planner in Manhattan has run the closing event for five Microsoft Global Summits with more than 9,000 employees in attendance. 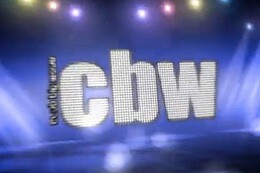 As well as being the principal entertainment, CBW opens other main attractions and closes them after we’ve performed for up to 65 minutes or more. 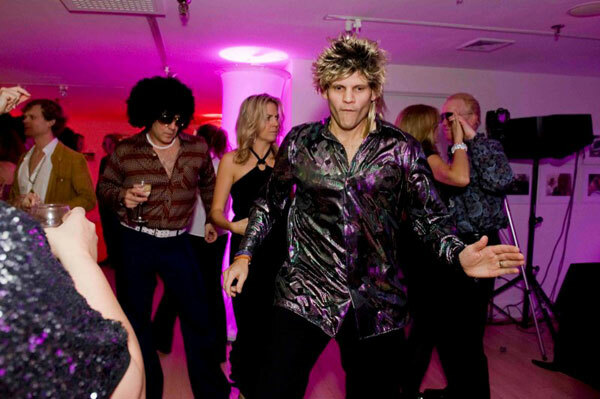 And, of course, we can I-MAG your main attraction. 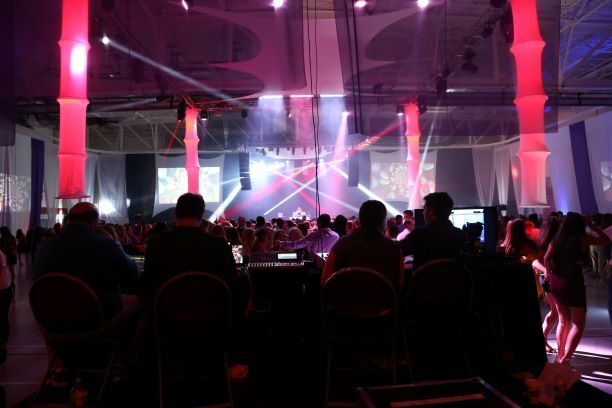 In that capacity, we’ve worked with Earth, Wind & Fire; the B 52s; Kool and the Gang; the Village People; Smash Mouth; the Stray Cats; and Huey Lewis, among others. 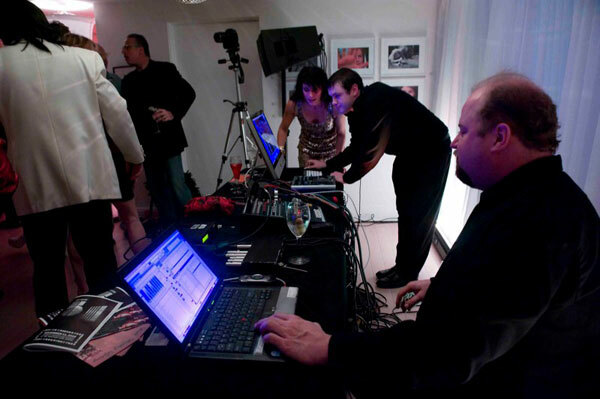 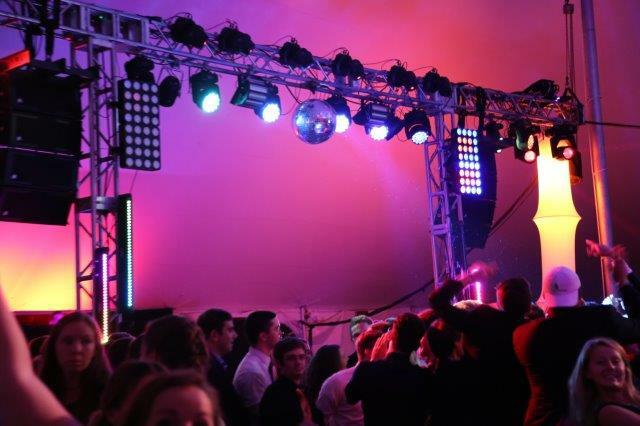 We can also work with celebrity MC’s and DJ’s. 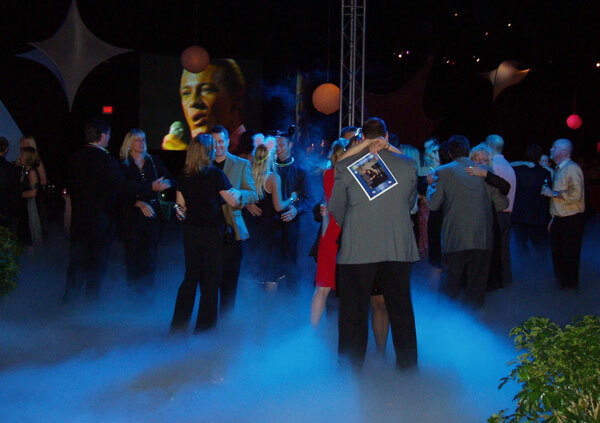 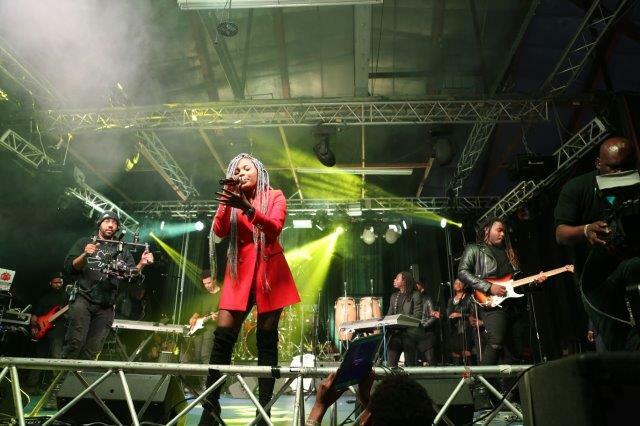 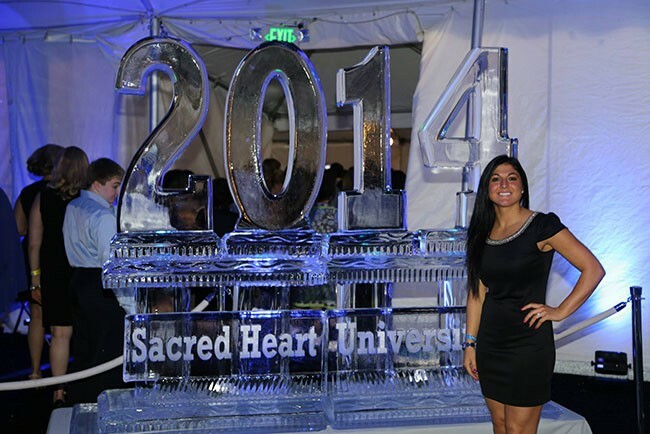 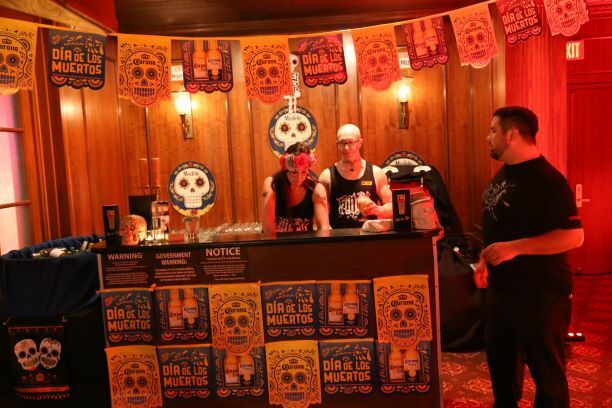 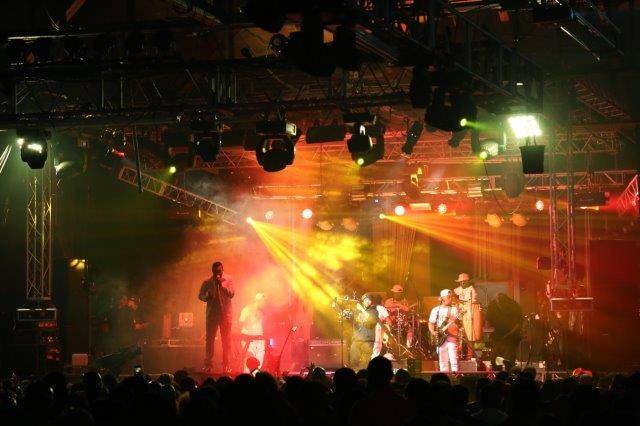 We guarantee an uncommonly successful high-energy event that generates buzz for years. 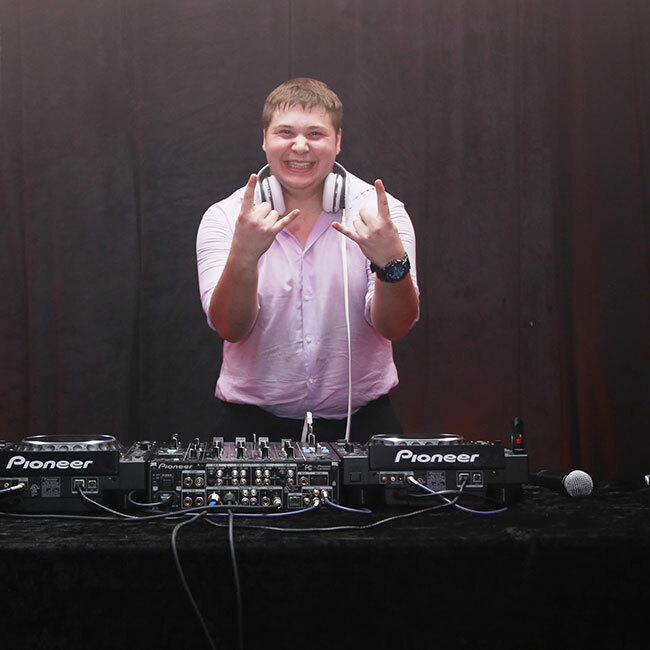 Thank you for your follow up calls. 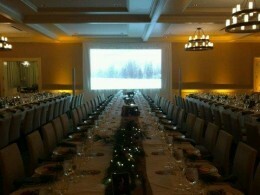 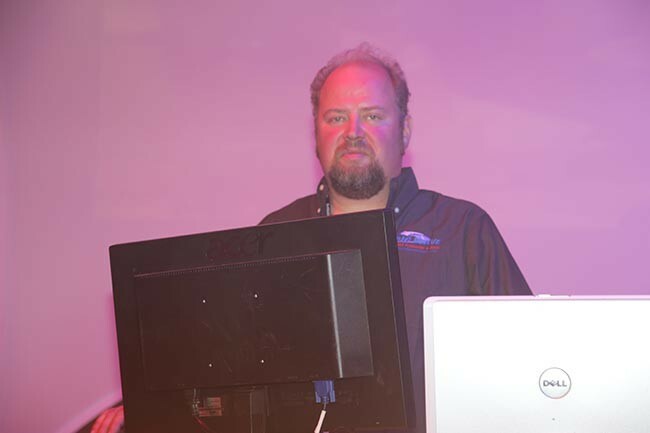 I was very happy with the services your team provided for our Holiday Party. 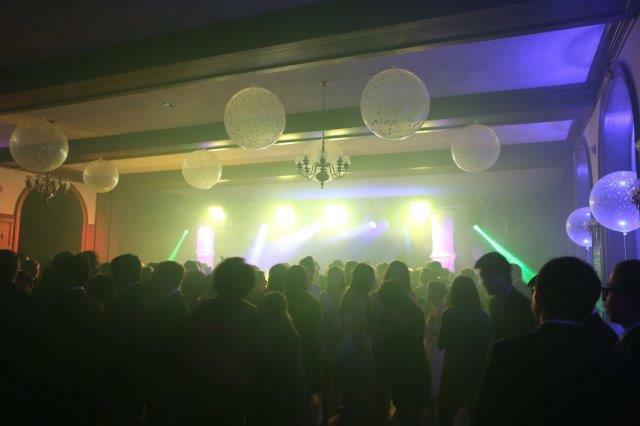 The Ballroom looked spectacular thanks to you! 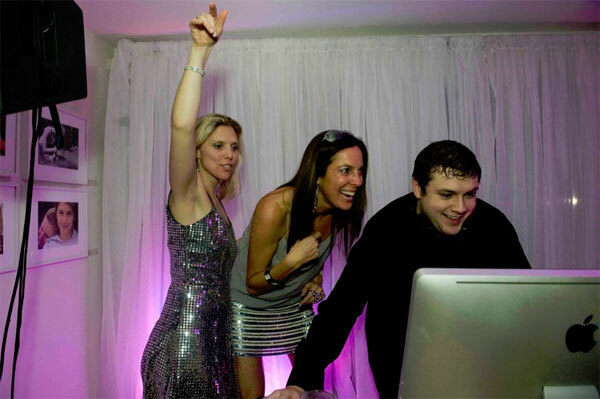 The DJ was great. 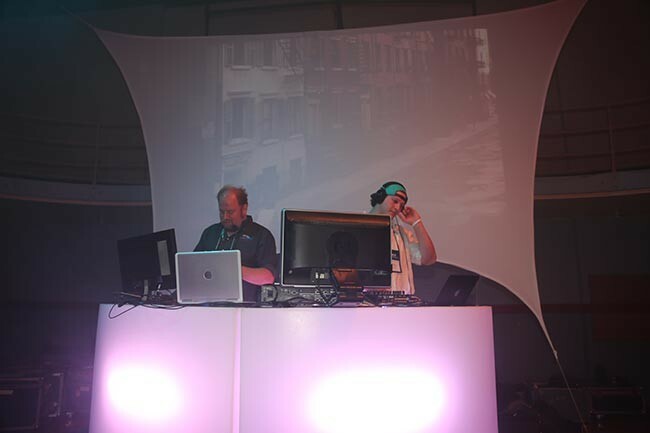 He was very patient with us as far as our music preferences and there were many. 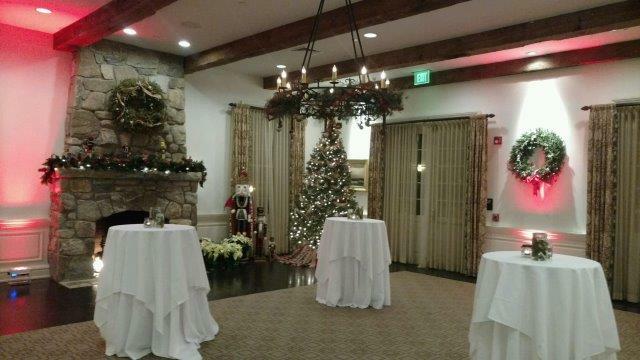 You will definitely be hearing from me for our next Holiday Party. 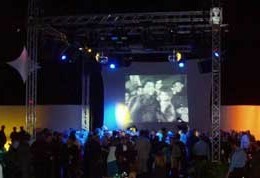 I am looking forward to working with you in 2012, and happy that I have found a partner in you for Syska’s future entertainment needs! 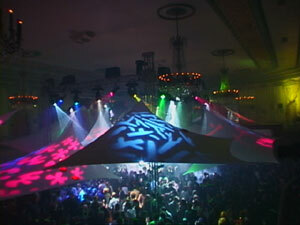 Club Big Wave has been the closing night event for five of the past seven Microsoft World Wide Global Summit events. 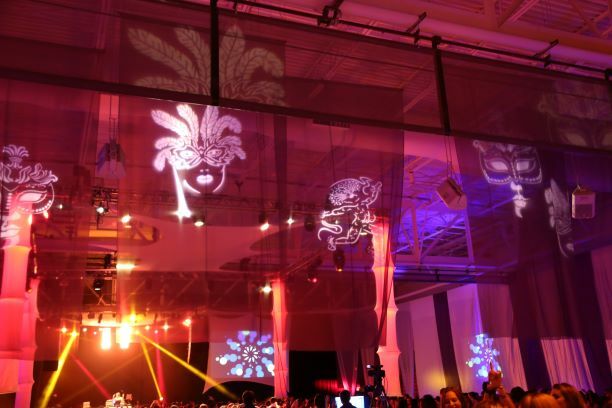 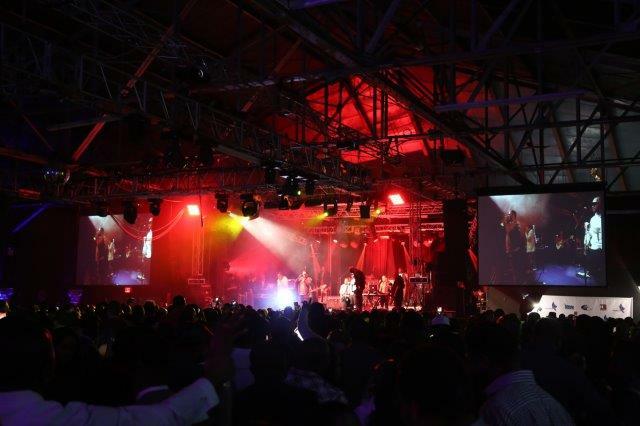 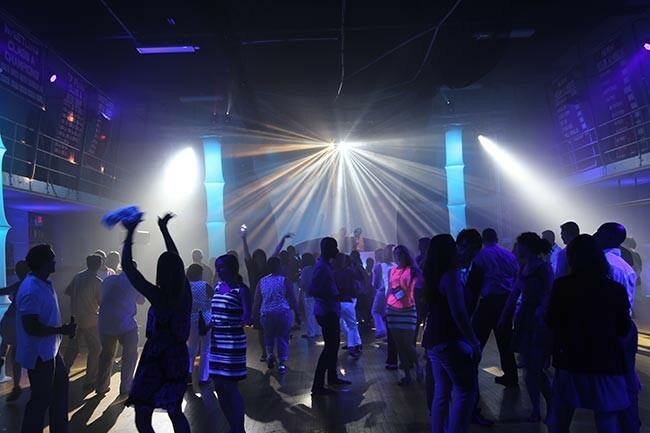 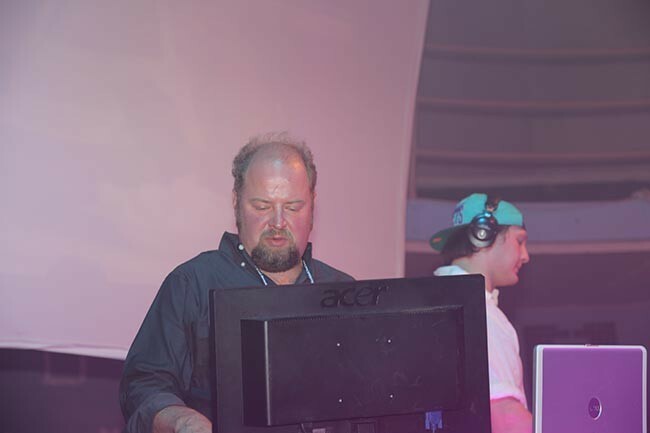 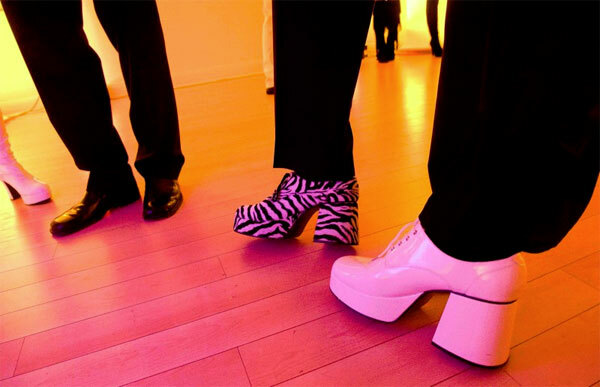 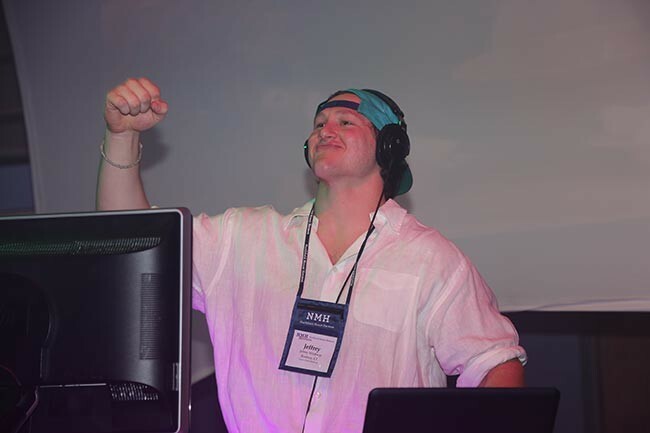 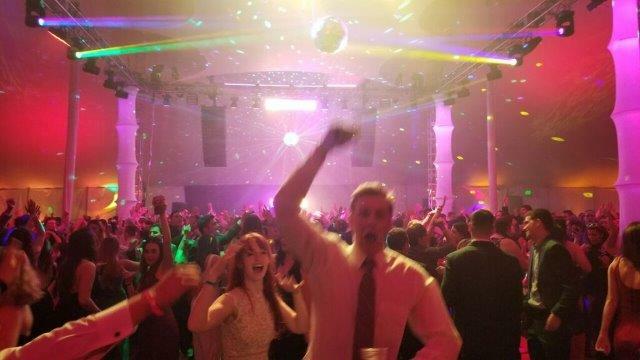 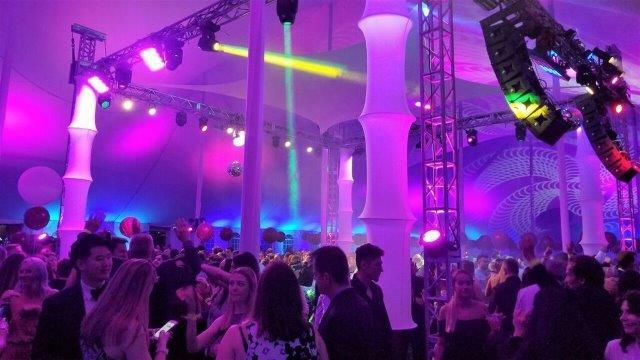 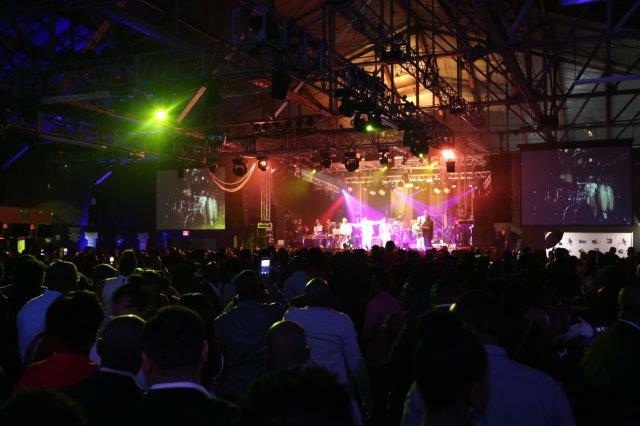 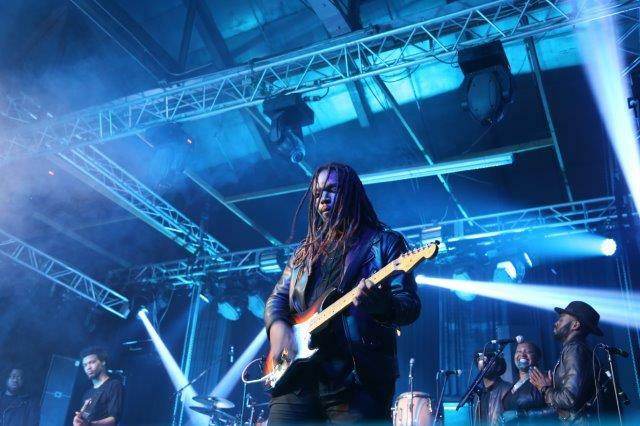 The 8,500 Microsoft employees love the event as it keeps them dancing throughout the party. 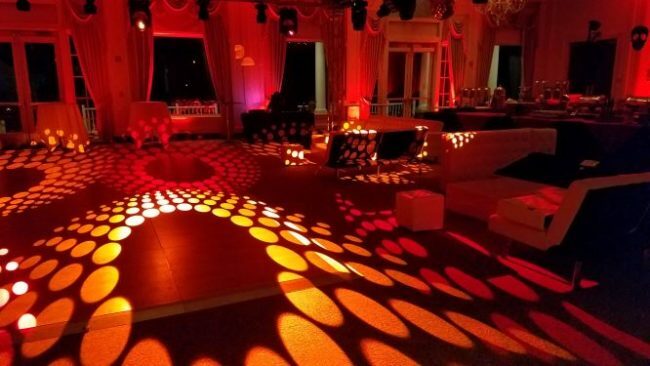 Your team did an amazing job for us once again. 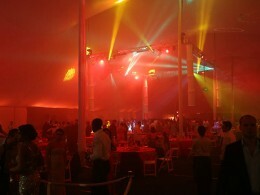 The show was fabulous and I can’t thank you enough for helping to make yet another event for us great. Your on-site staff was professional and very responsive. 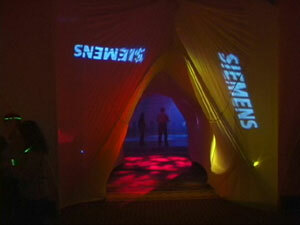 I really enjoyed working with Big Wave’s next generation. 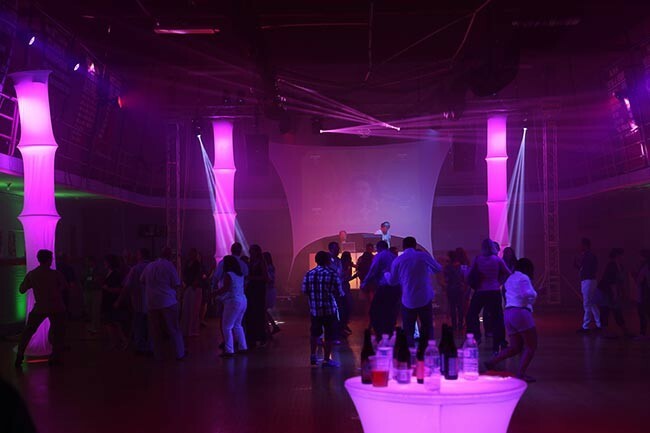 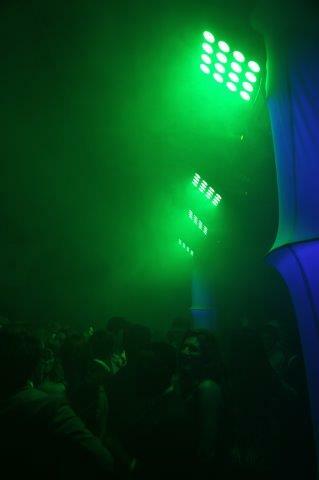 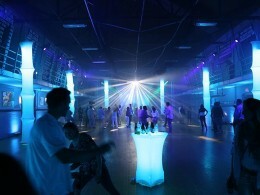 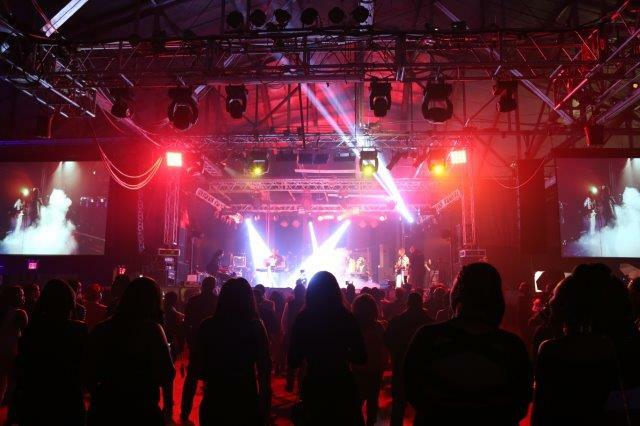 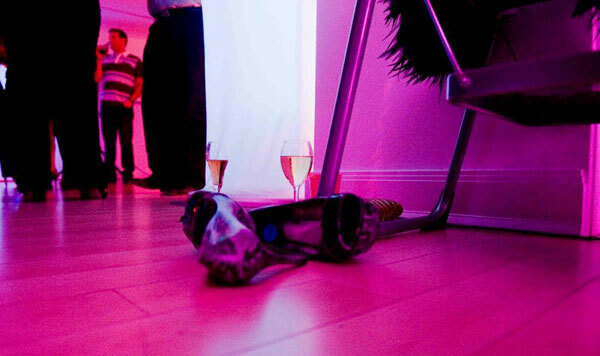 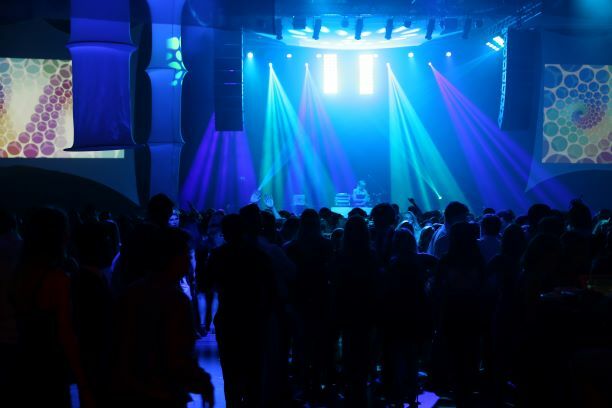 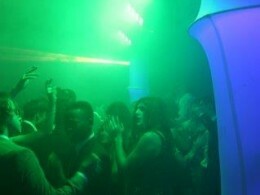 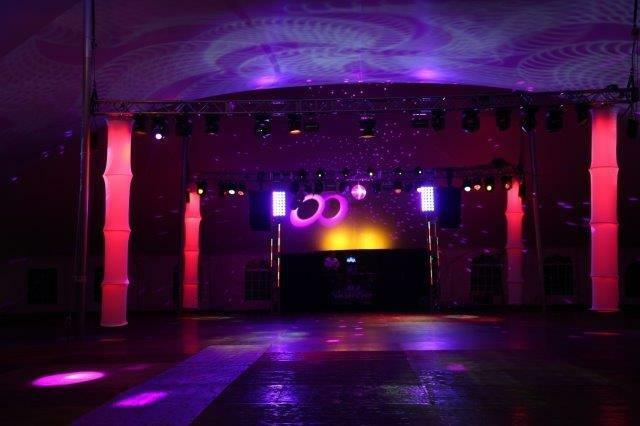 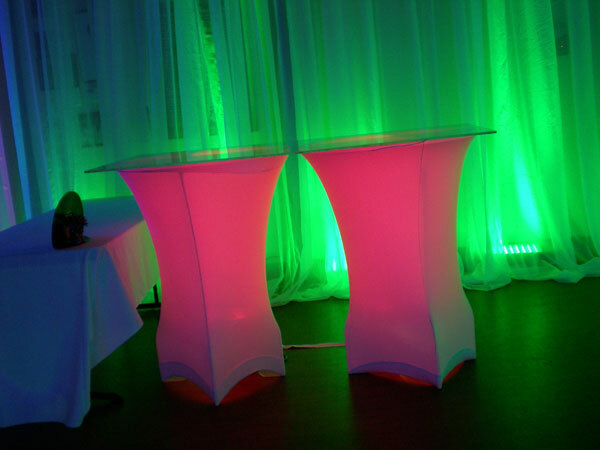 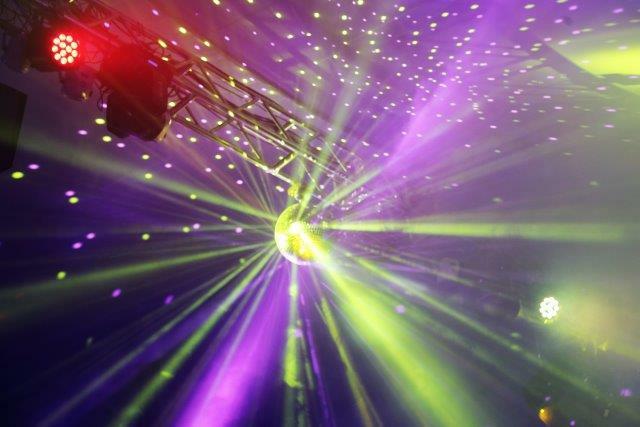 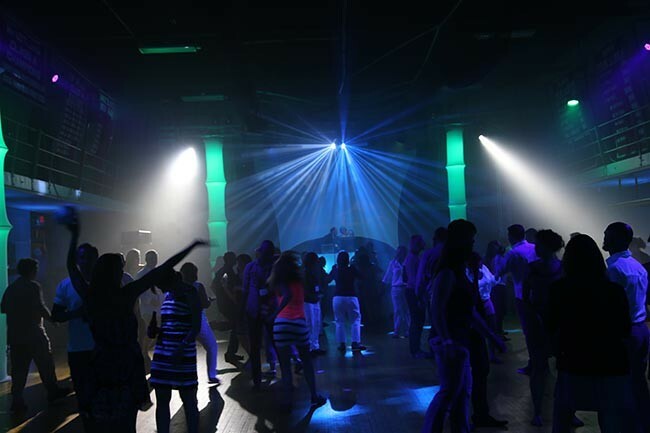 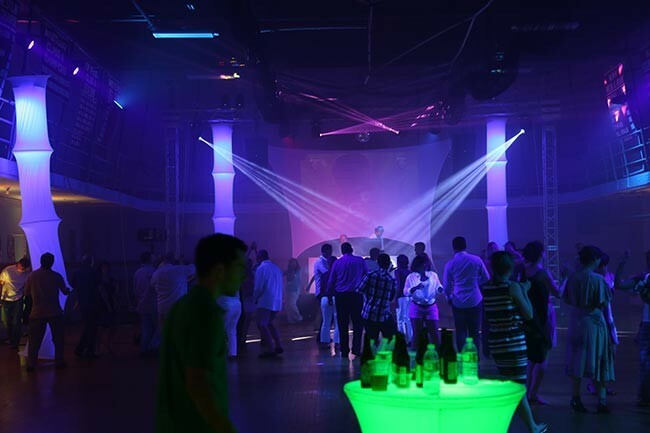 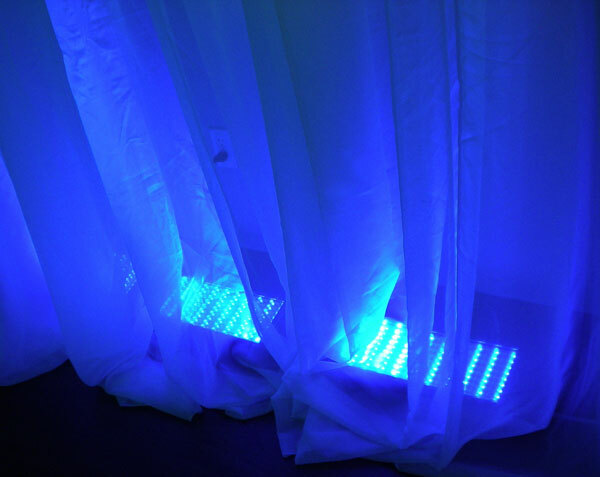 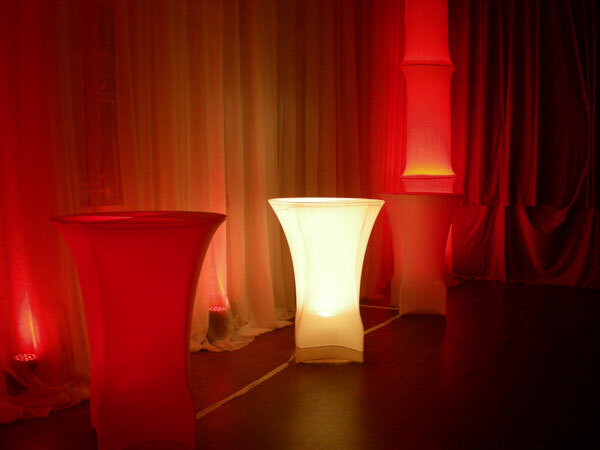 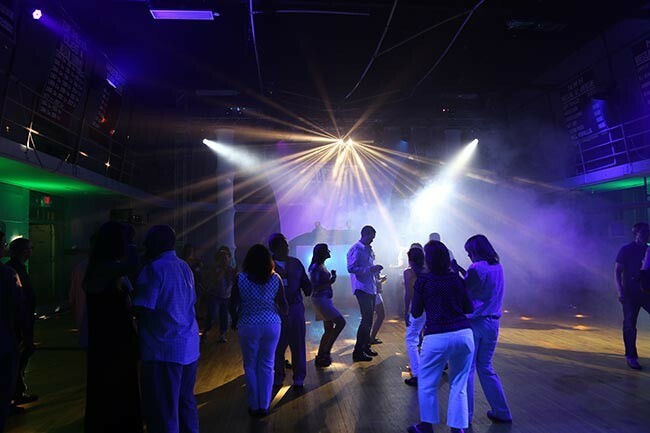 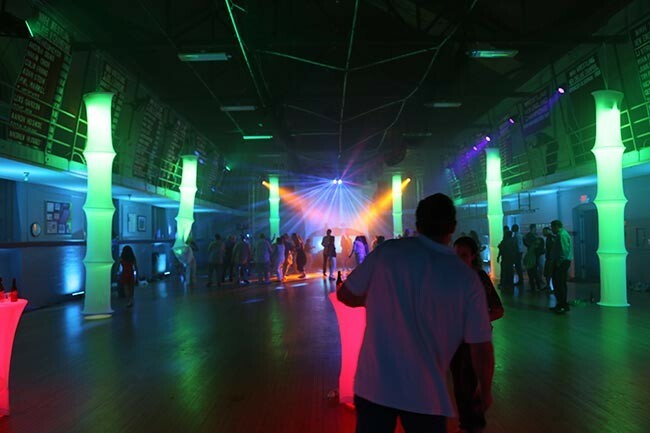 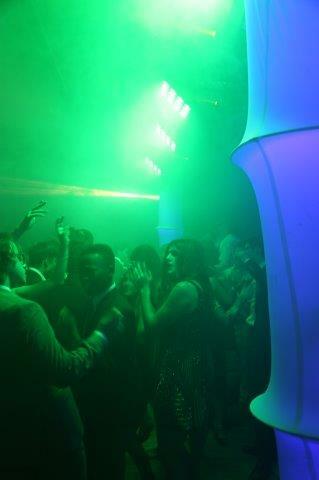 Club Big Wave transforms any room into a high energy club that ROCKS! 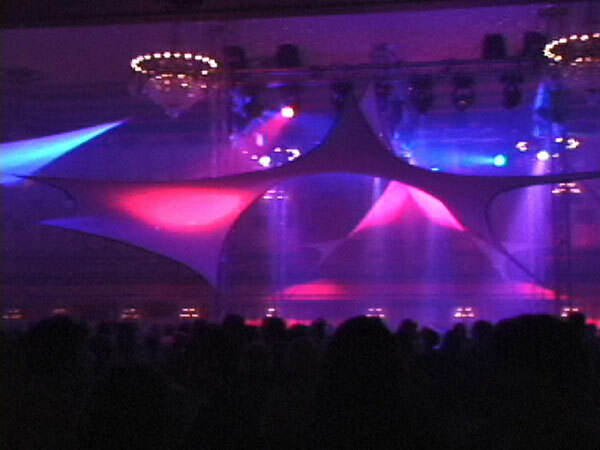 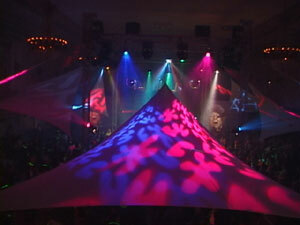 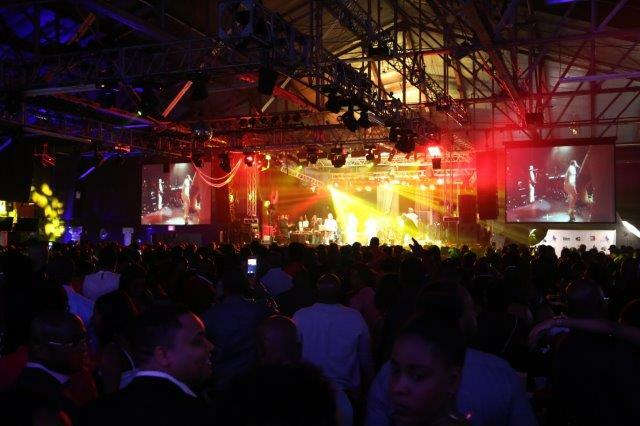 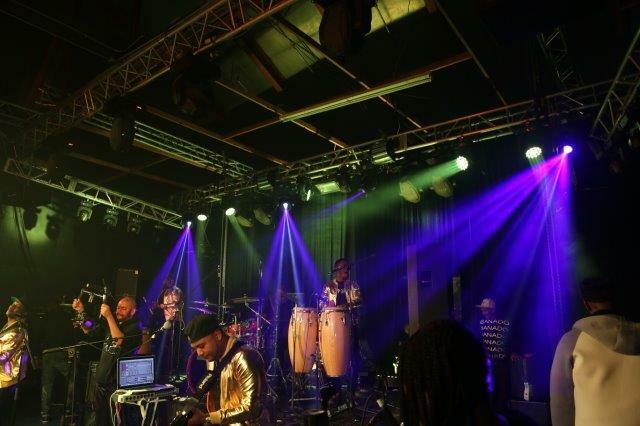 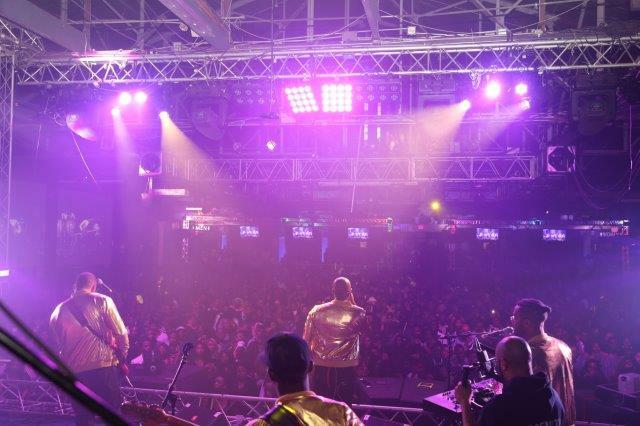 Big Wave is the only event production company I call to produce a dance oriented event any where in the world. 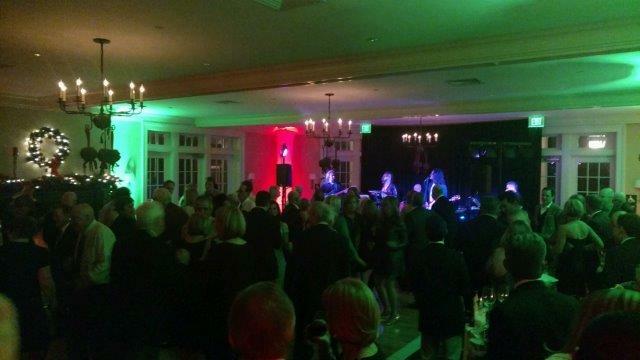 Thank you for making our “Turn of the Century” party a huge success! 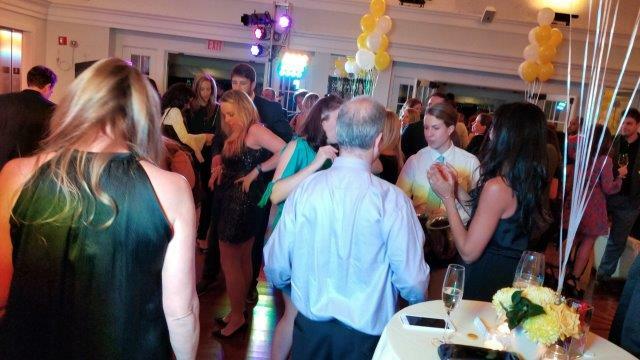 We have never seen a McKinsey event where every single person was on the dance floor. 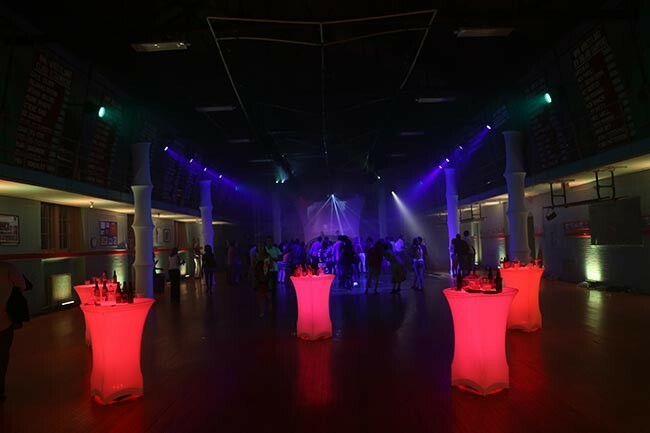 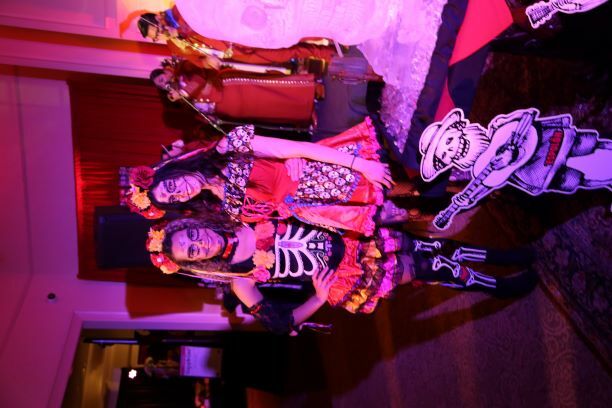 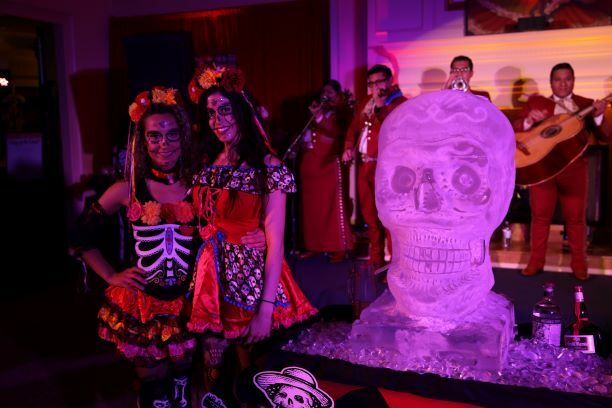 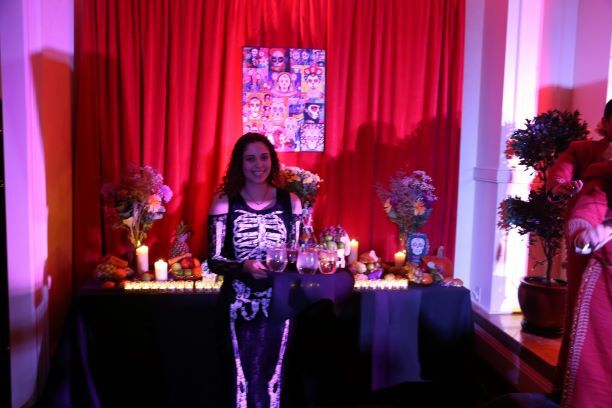 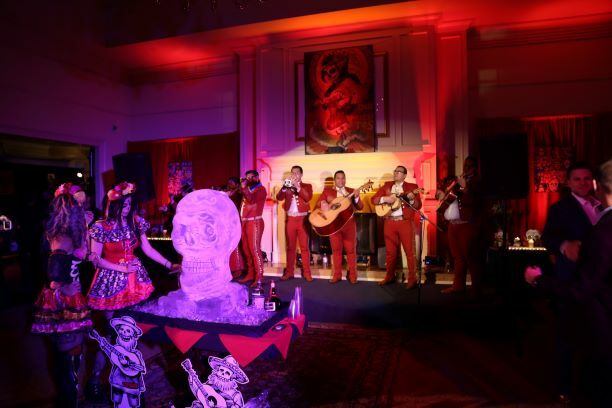 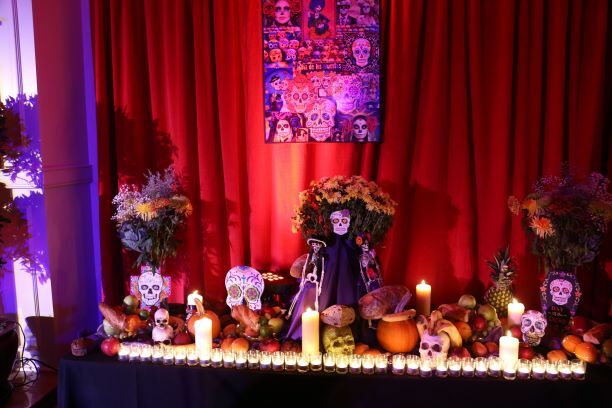 The overall look of the ballroom and the highly imaginative center pieces added the perfect touch to the theme of the event. 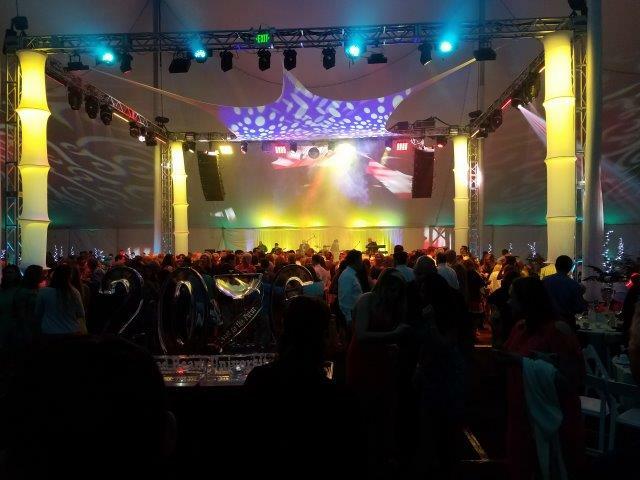 Big Wave’s Club Big Wave had the six hundred guests for the Indi 500 Winners Circle Event at Epcot dancing the night away. 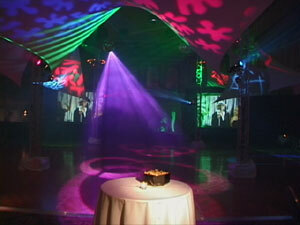 Your video mix along with your incredible light show was very impressive. 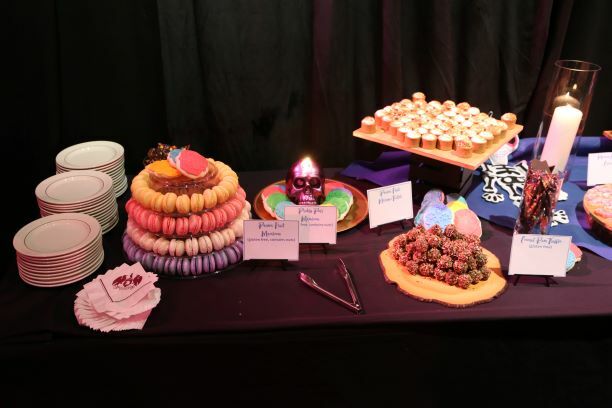 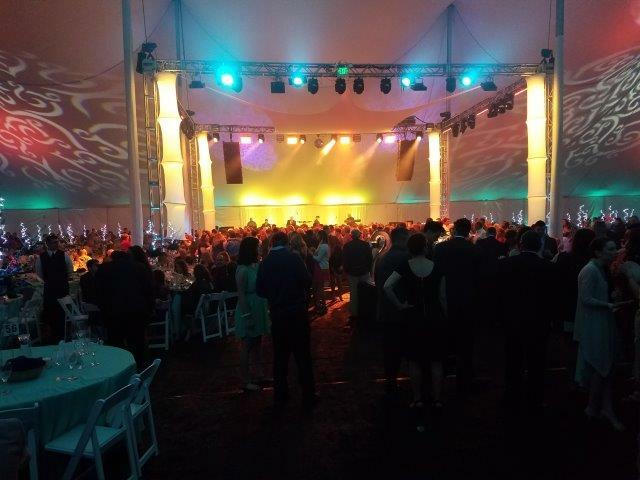 Club Big Wave did an incredible job prepping our pharmaceutical group for the main even at the annual Gala, a private performance by the popular rock group ‘Smash Mouth’. 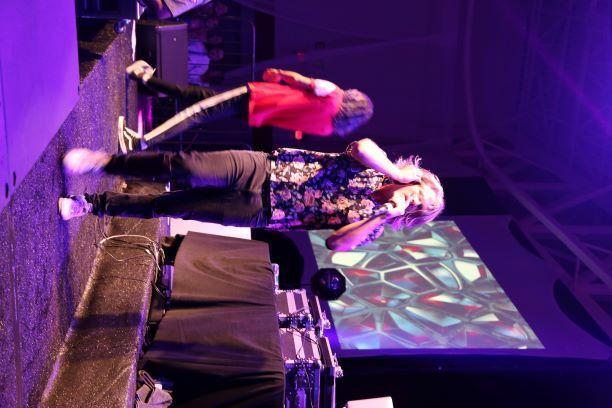 Smash Mouth performed sixty-five minutes of their hits and then Big Wave closed the event with an additional two hours of the Club Big Wave. 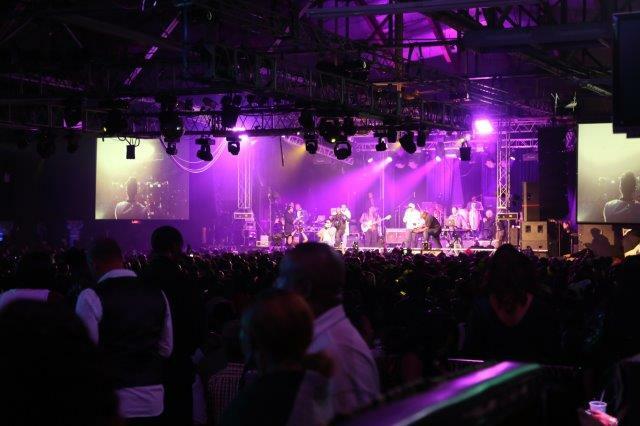 Thank you for giving us a full hour of overtime as you received two separate standing ovations for more music. 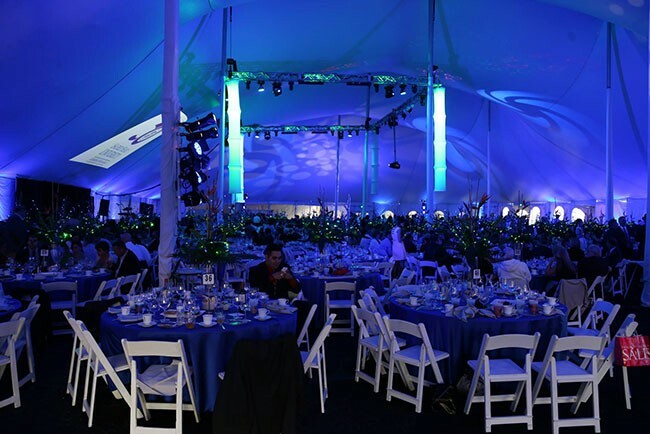 Big Wave has successfully produced four of our annual galas for our hearing instrument division. 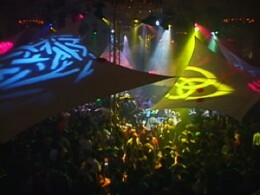 A key part of these events has been the Club Big Wave. 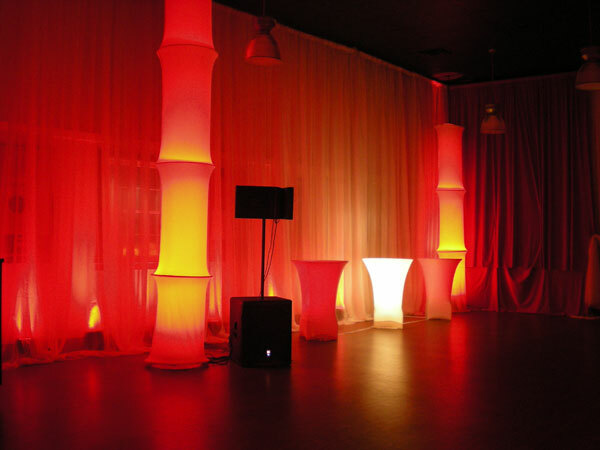 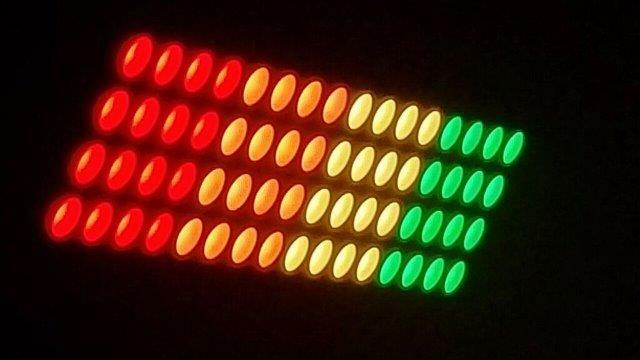 Your surround sound audio system, video projections coupled with your vast music DVD library and you colorful light show gets better every year. 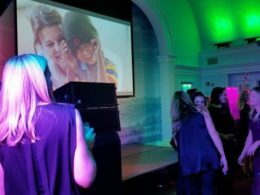 Your hi-tech, high energy dance oriented event is just what we needed to close the year at our annual company holiday party. 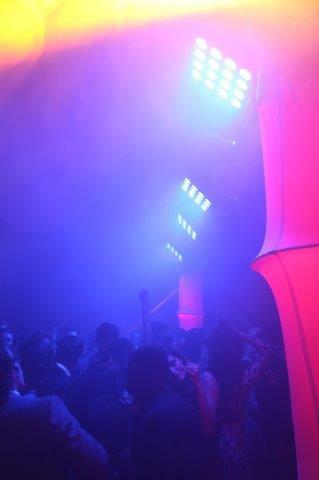 Club Big Wave ROCKS!